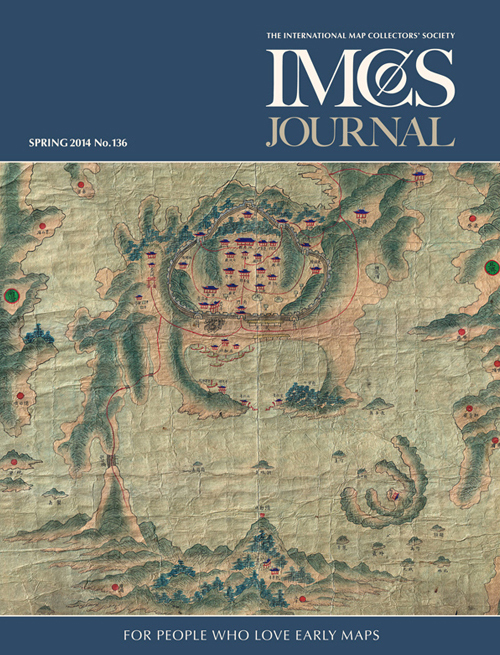 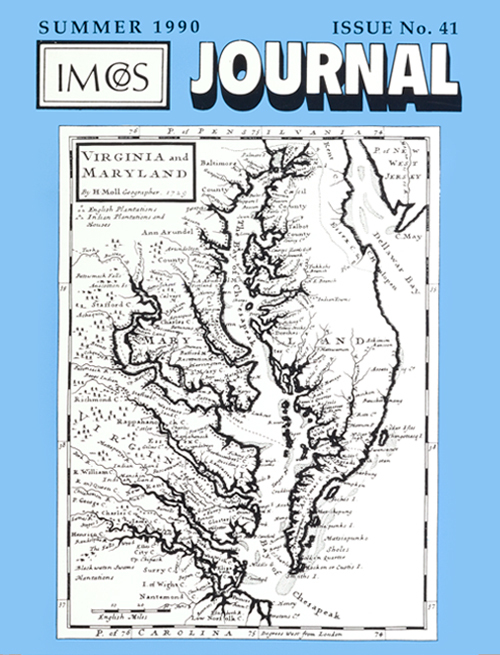 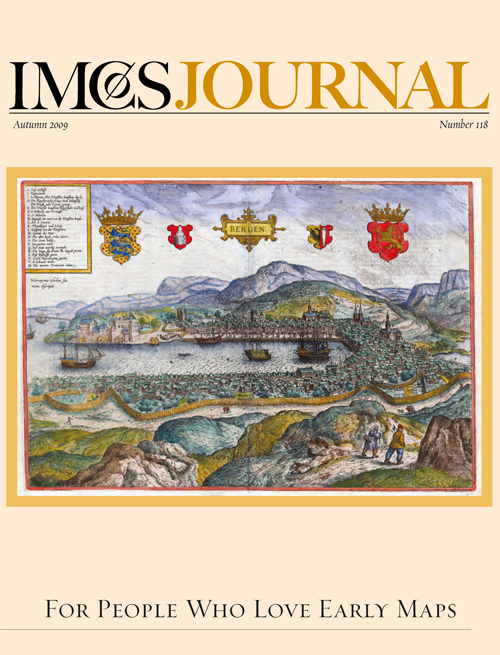 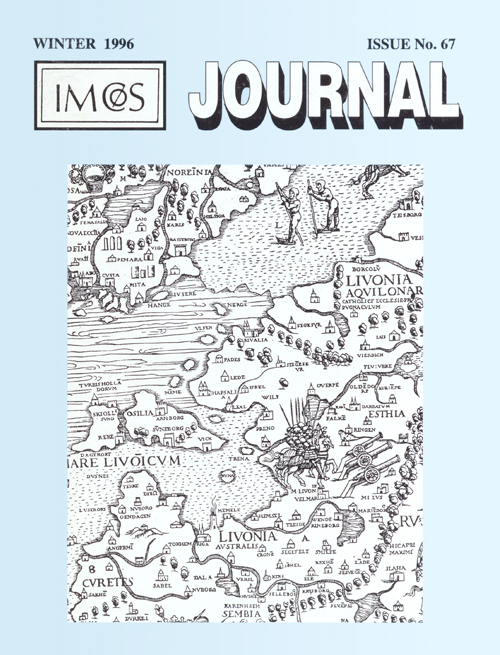 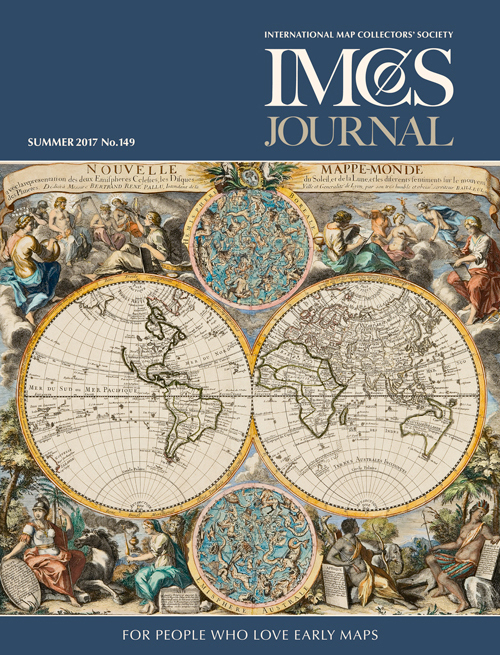 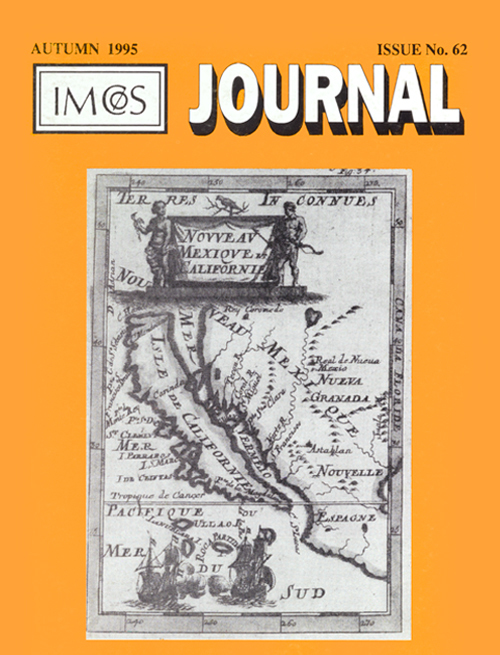 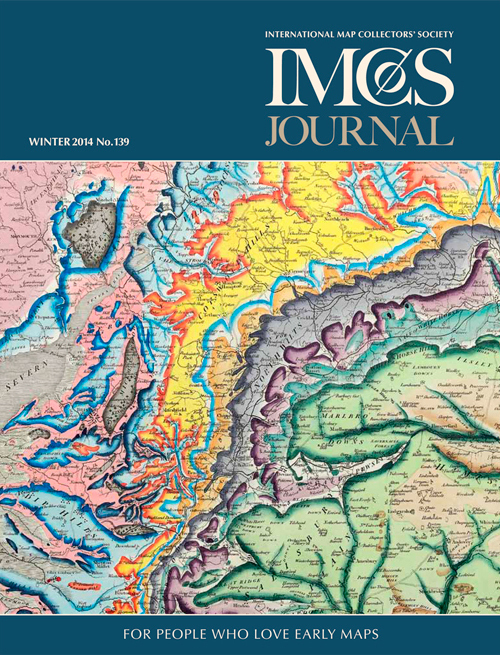 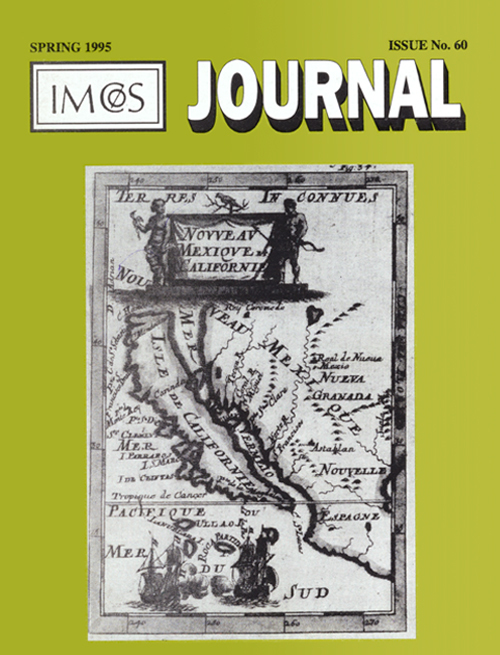 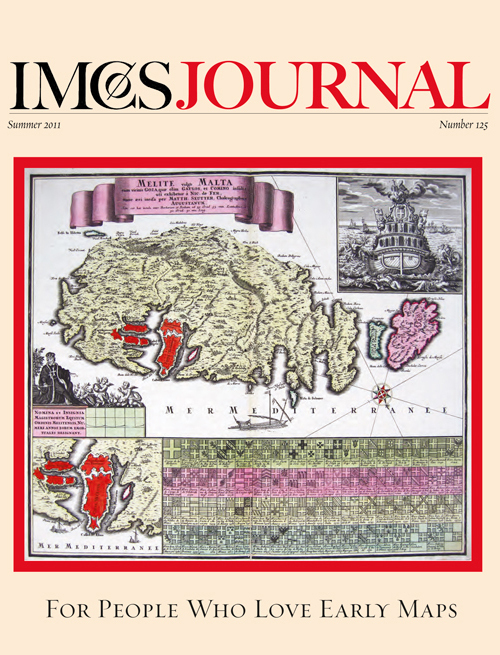 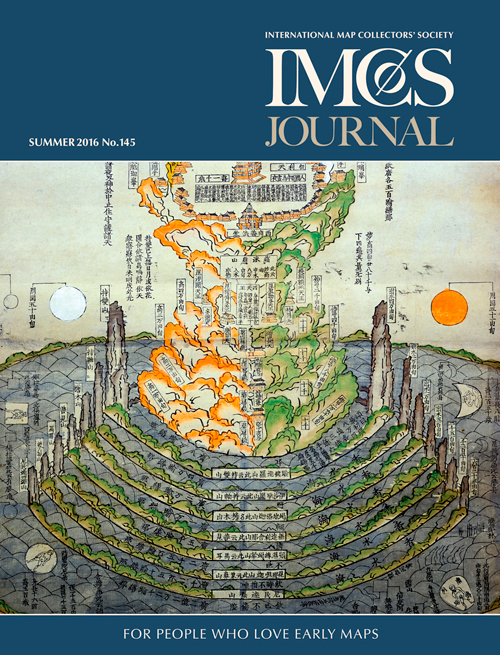 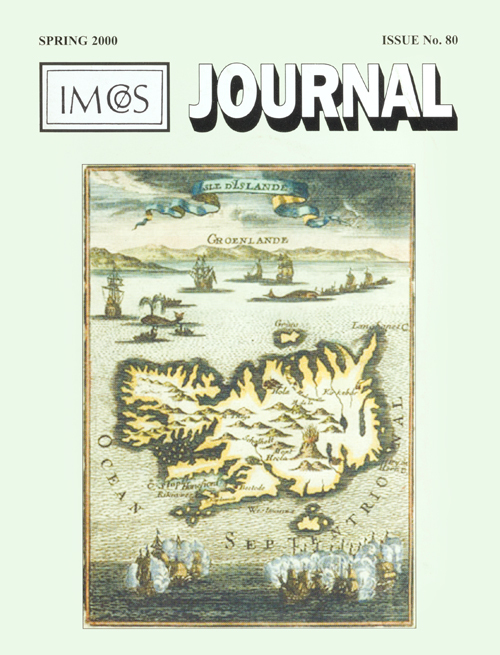 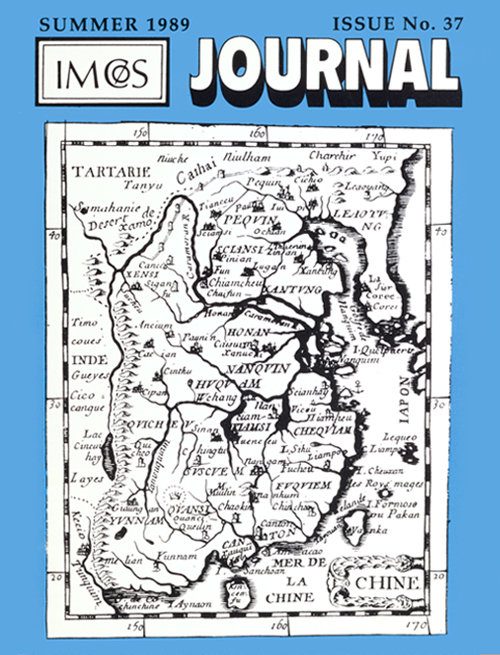 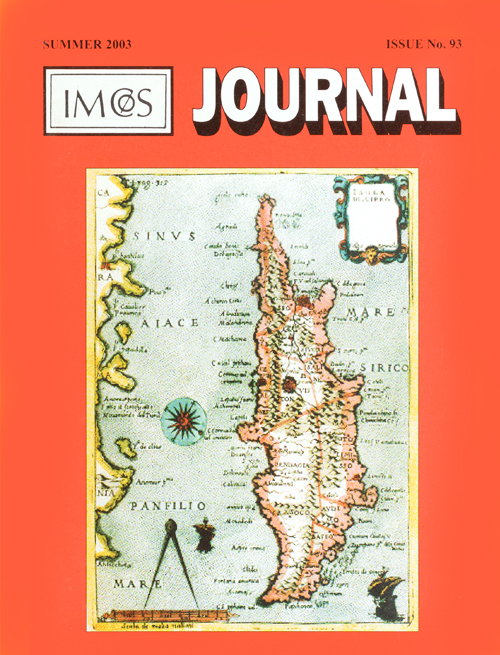 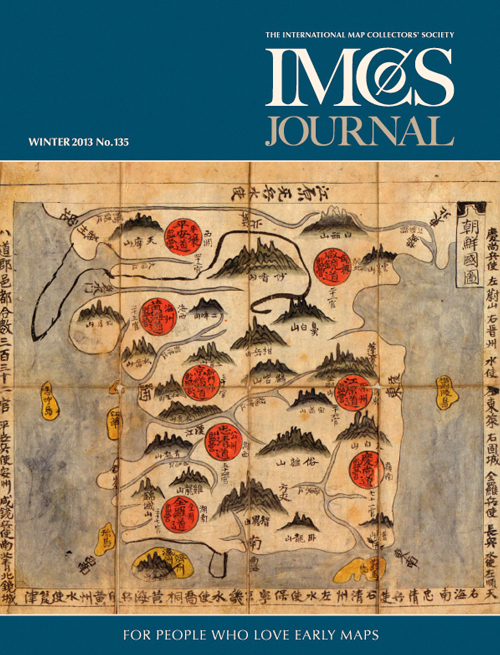 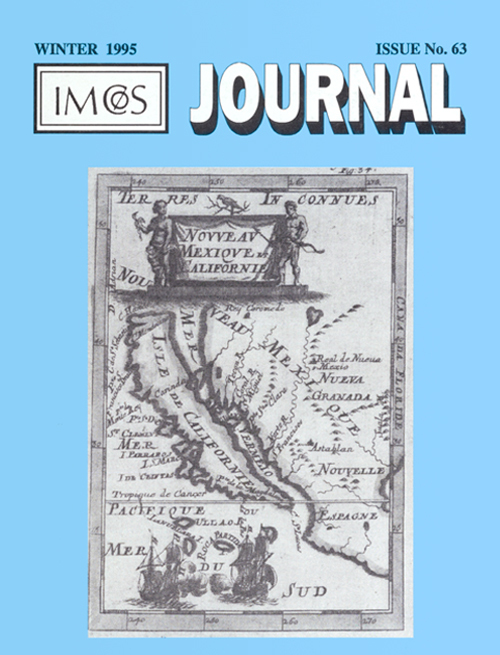 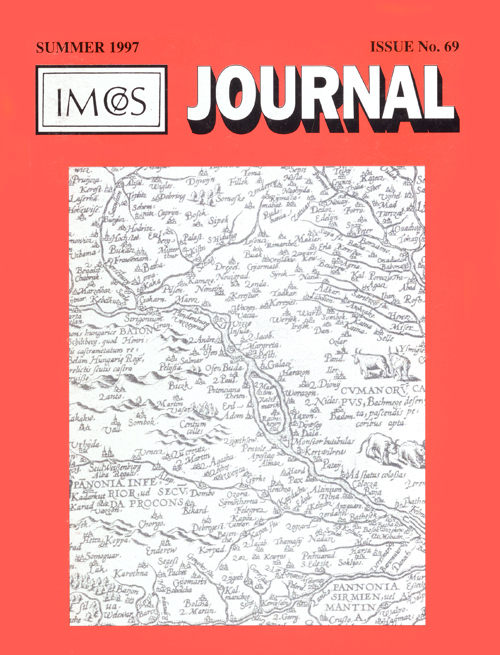 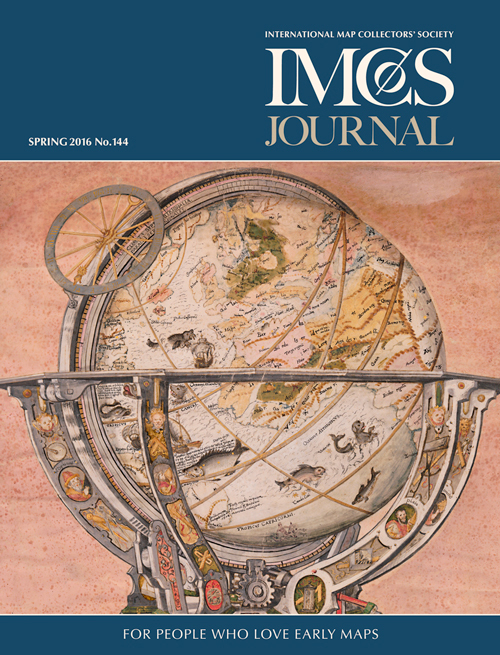 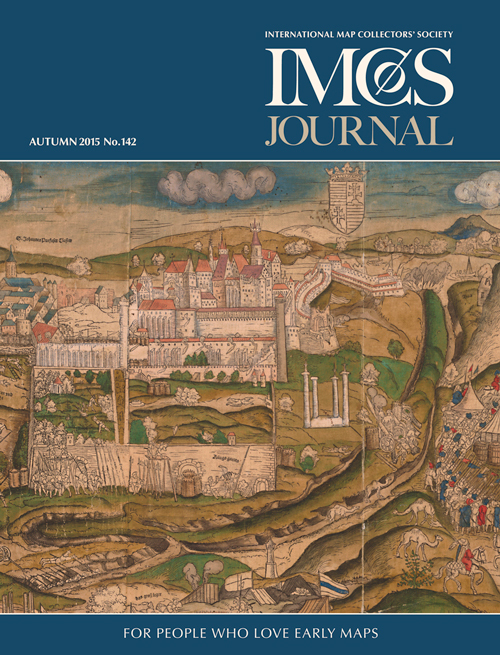 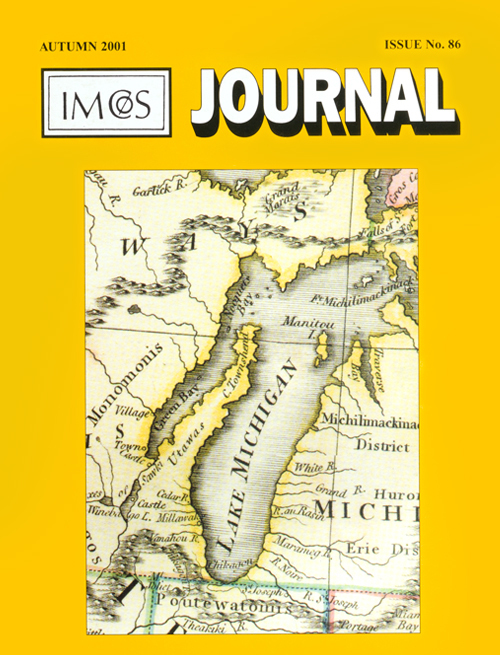 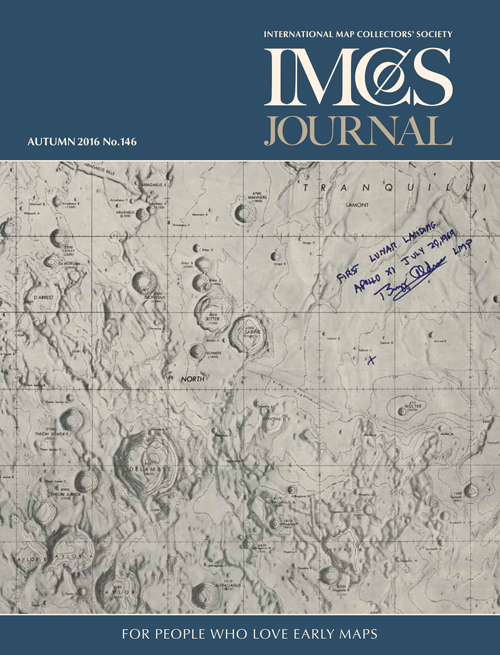 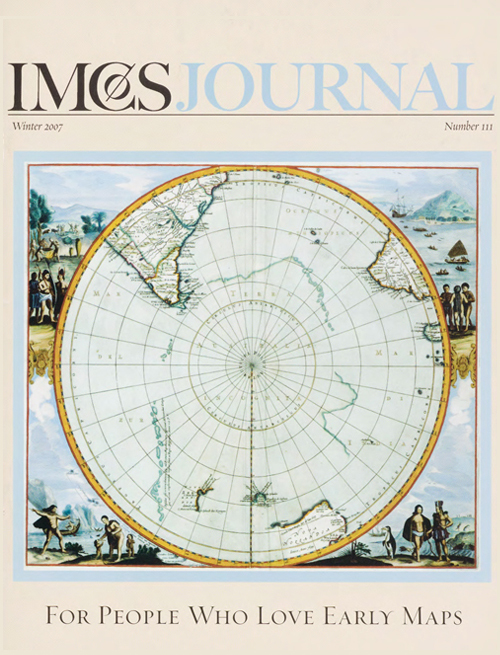 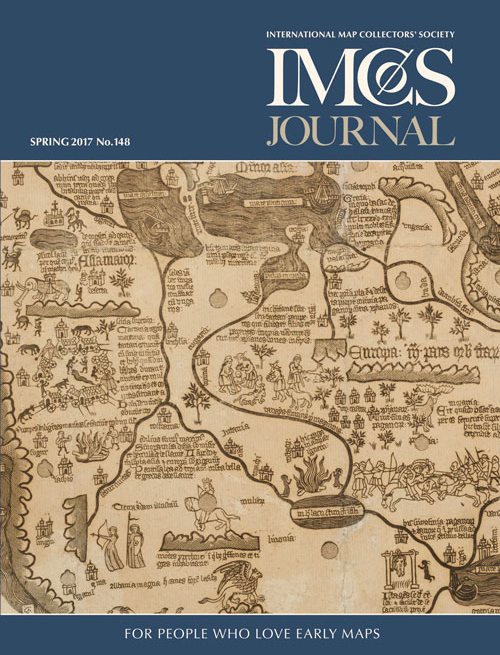 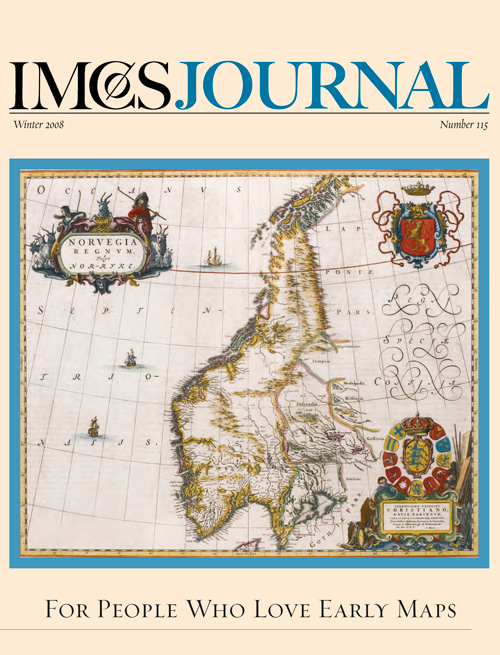 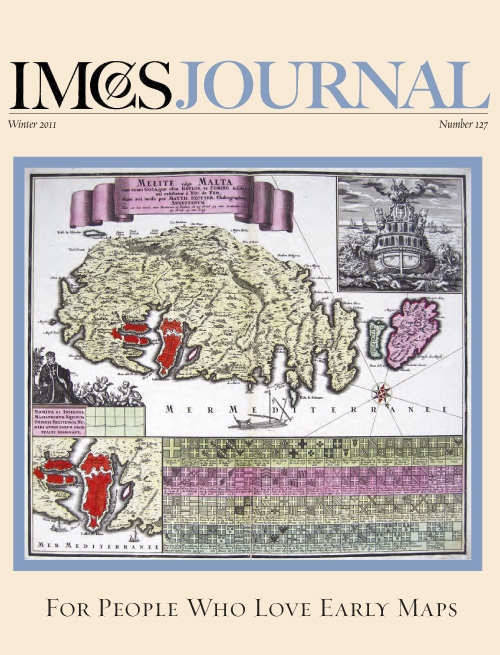 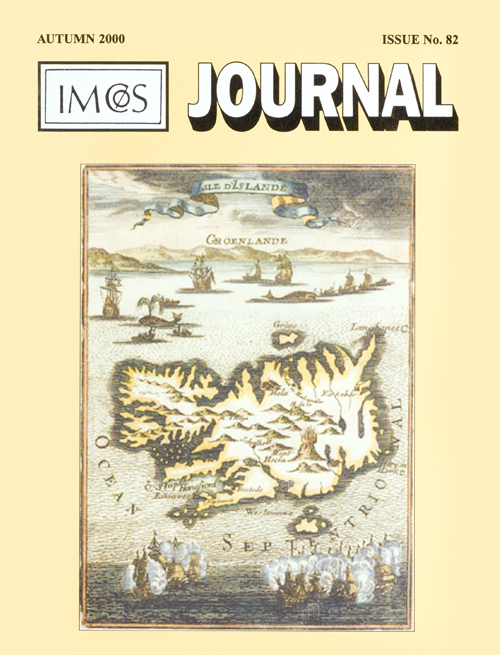 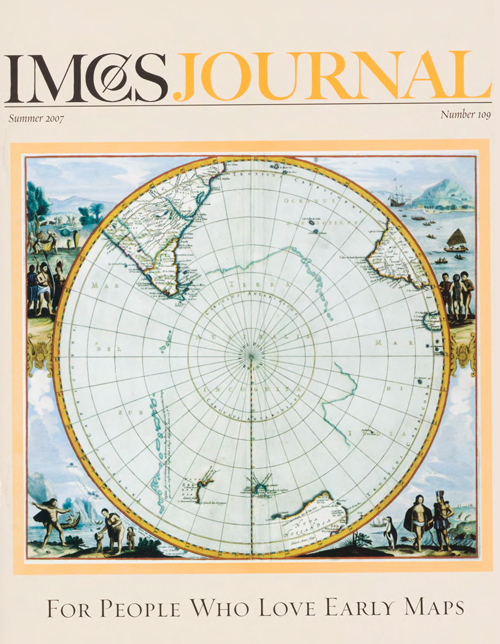 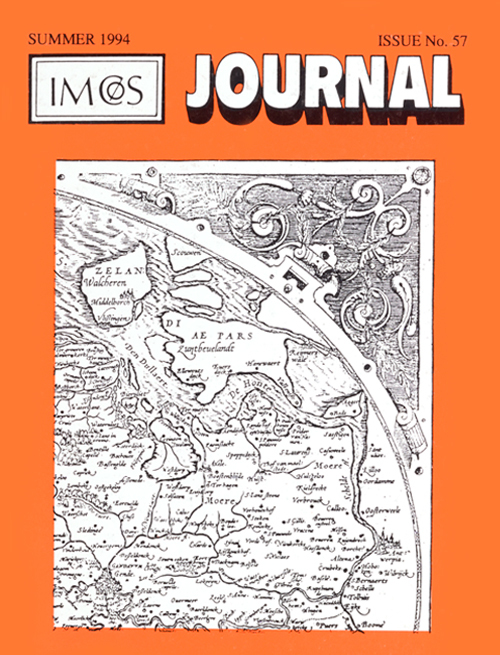 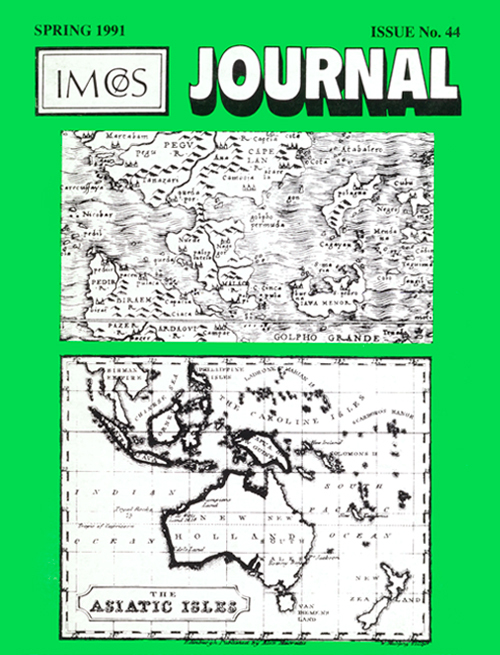 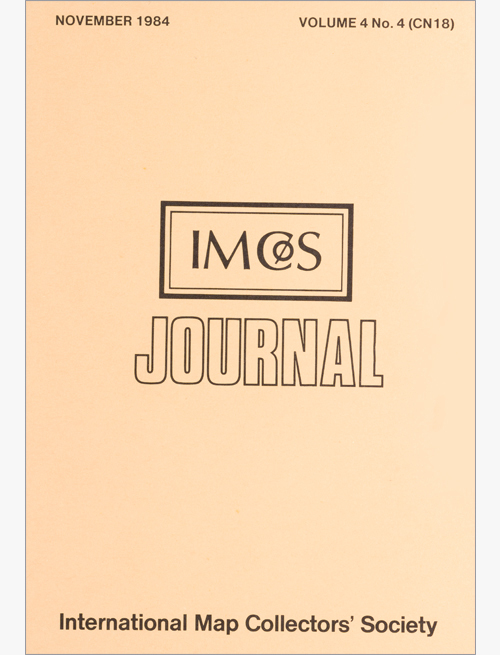 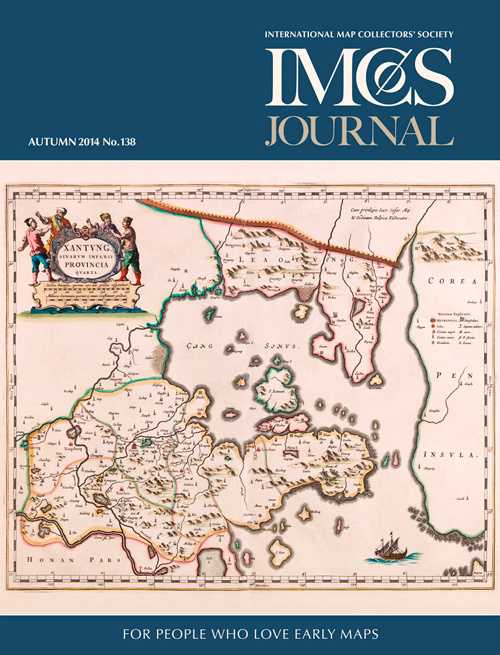 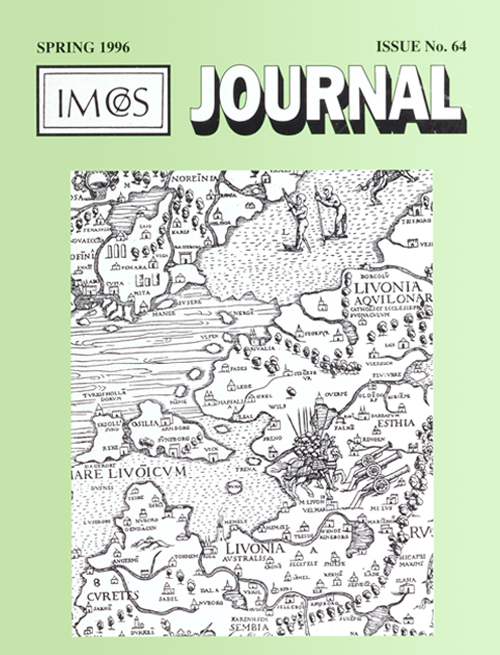 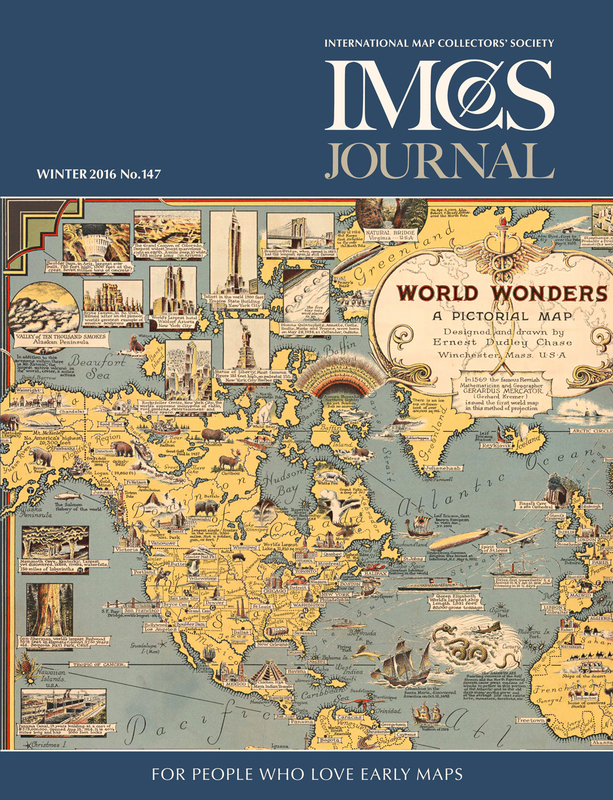 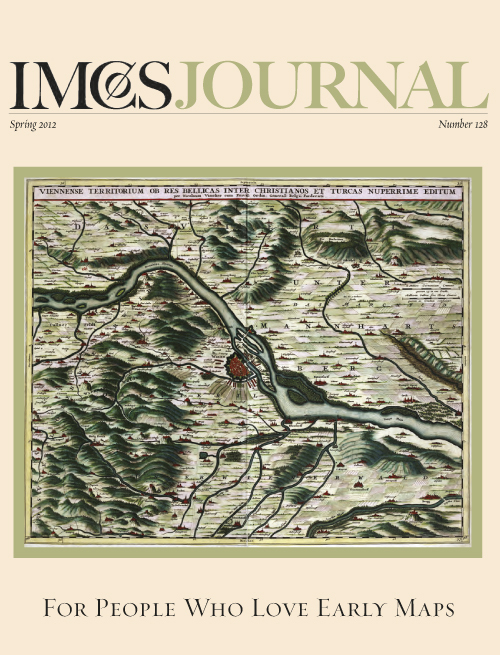 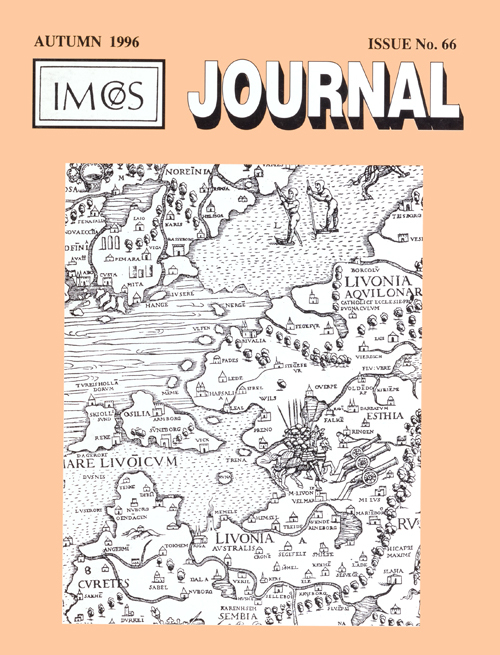 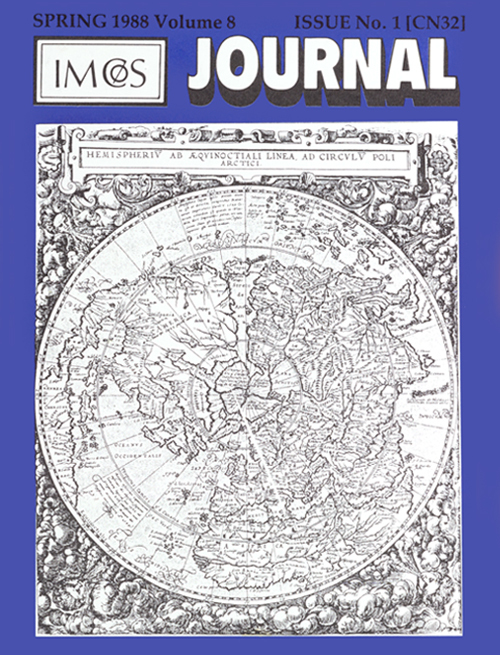 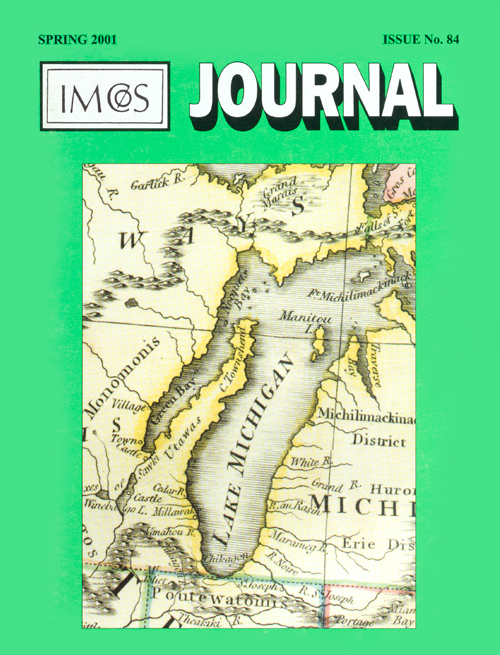 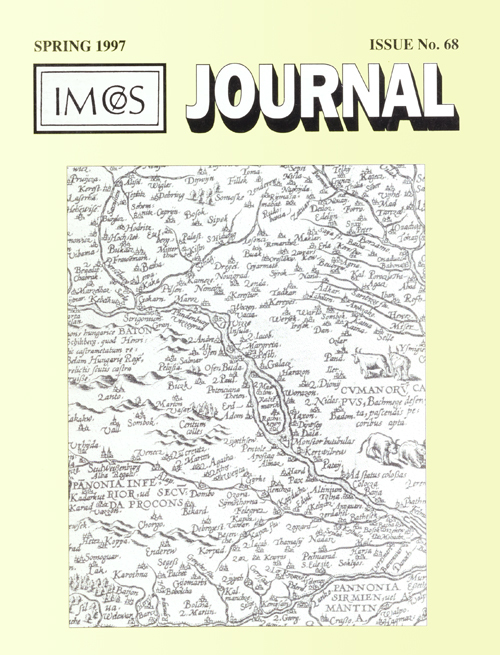 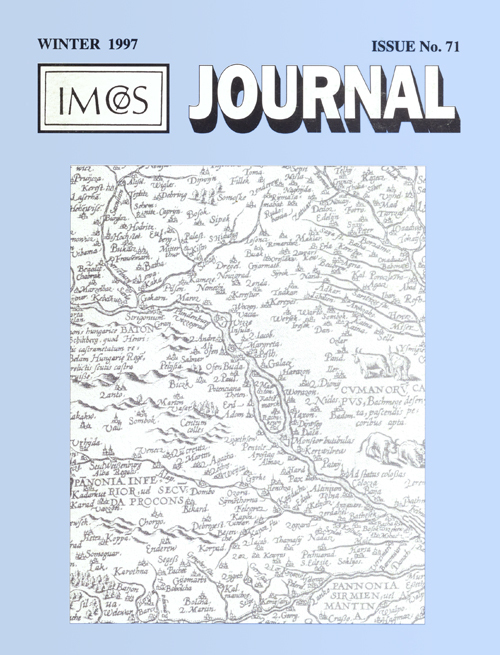 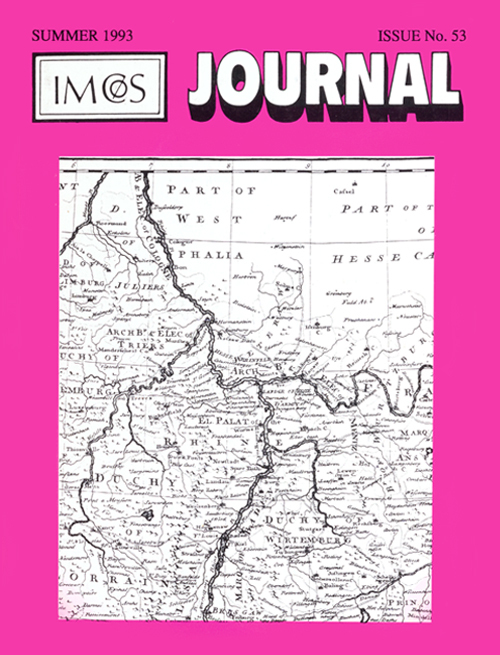 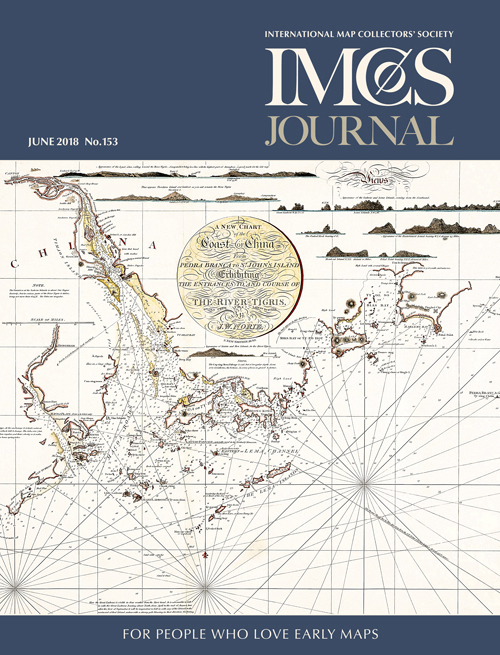 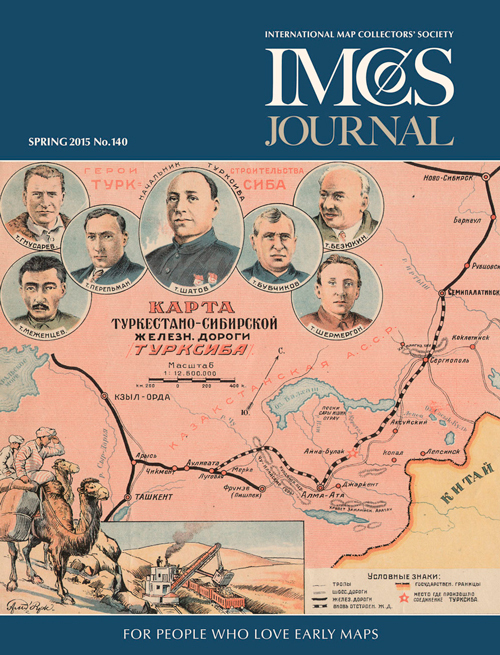 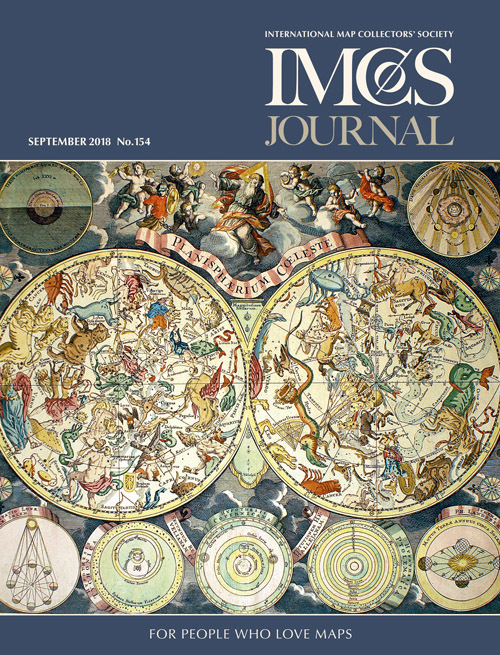 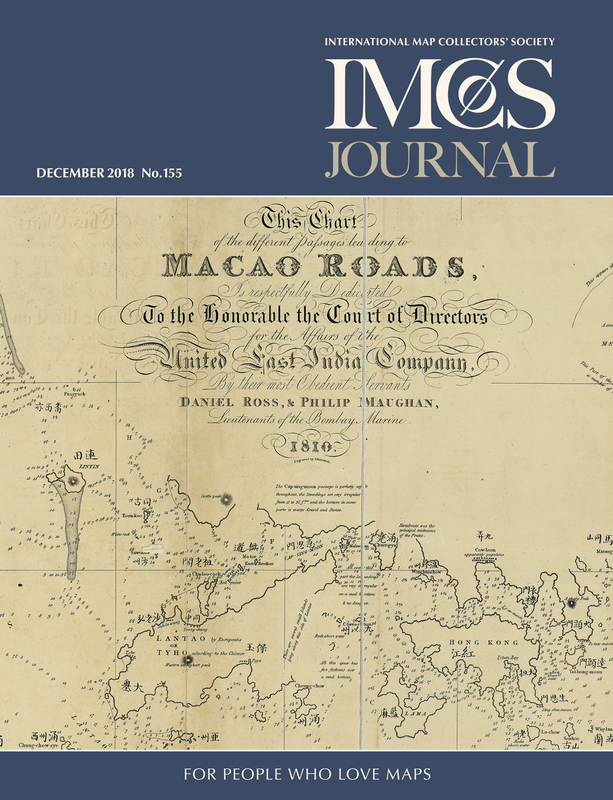 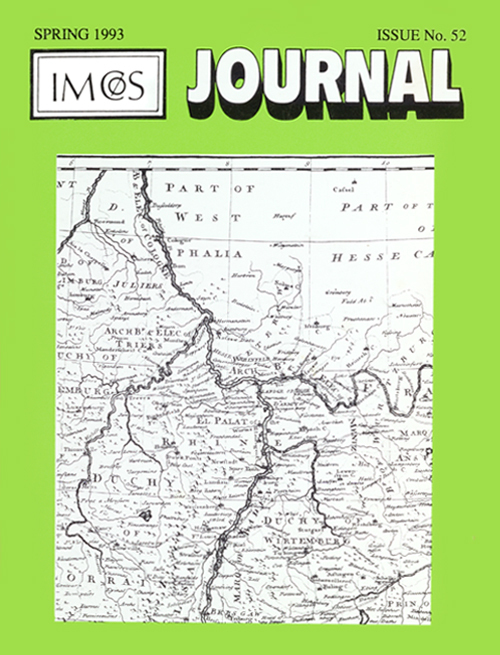 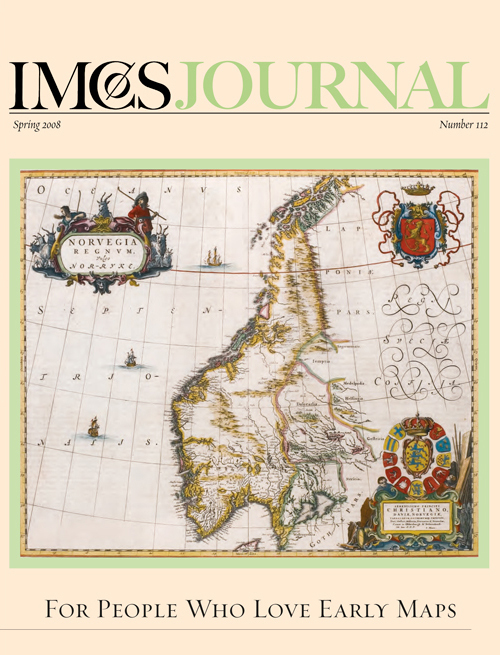 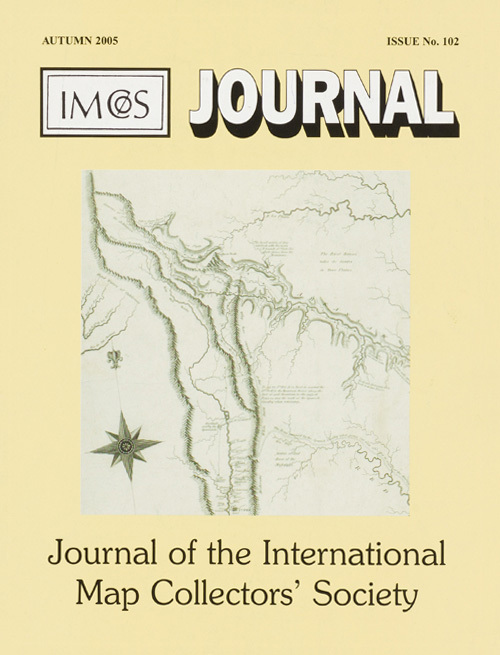 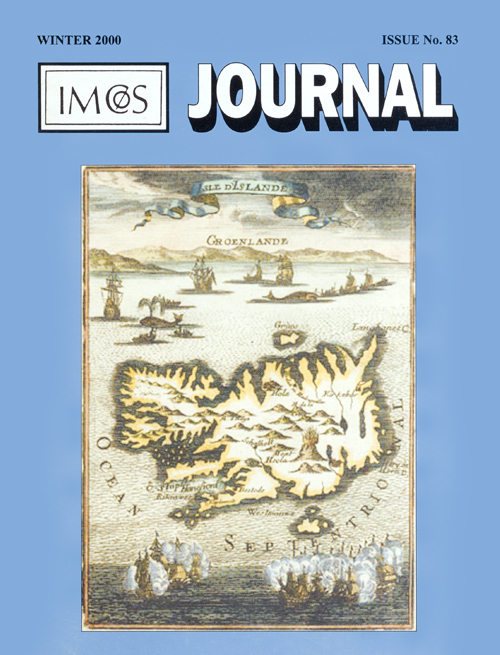 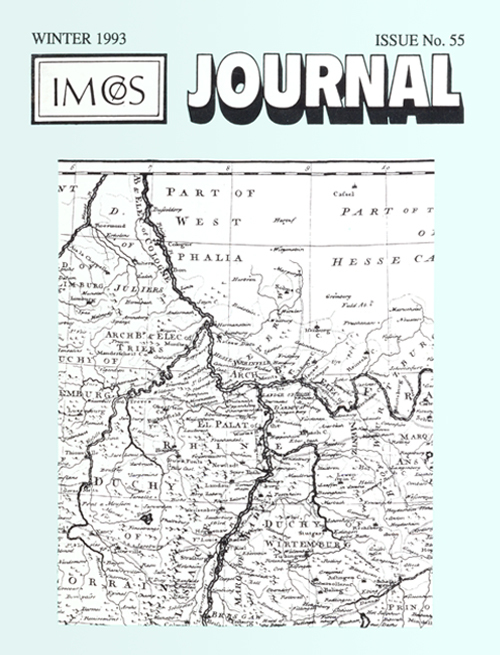 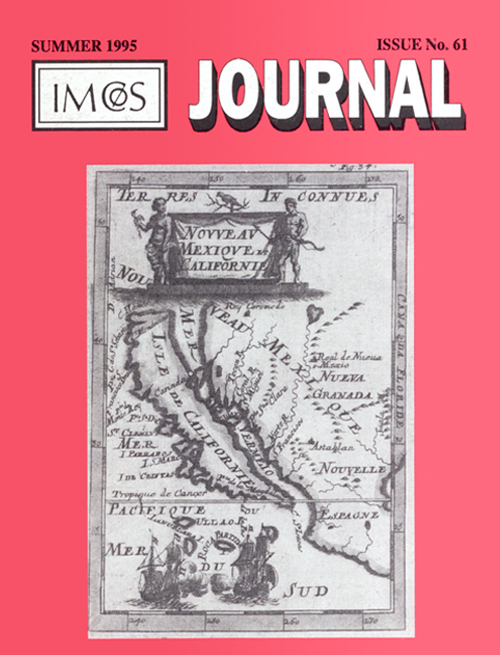 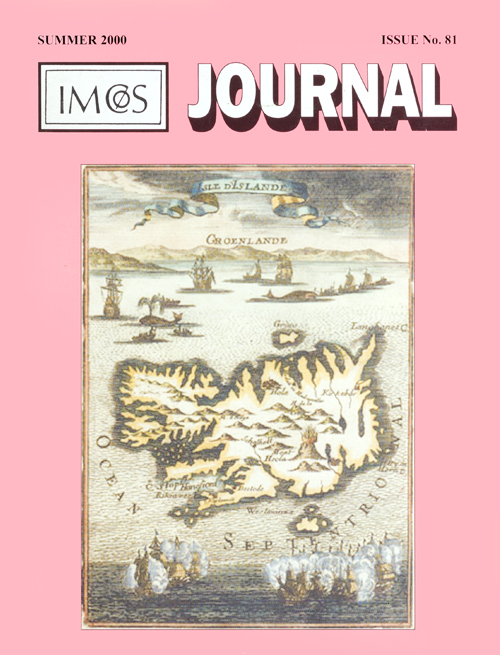 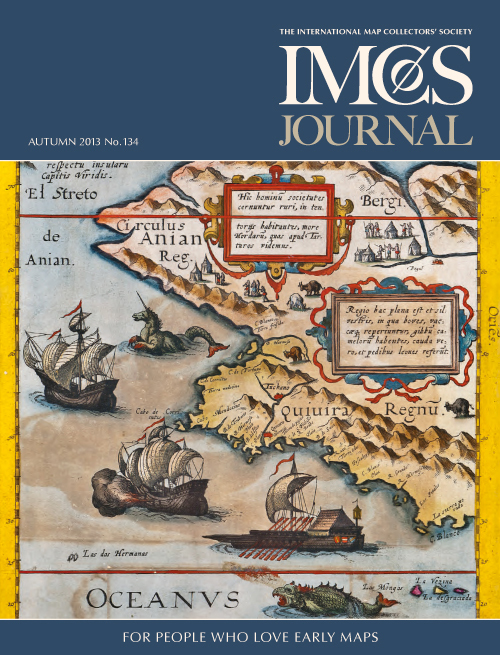 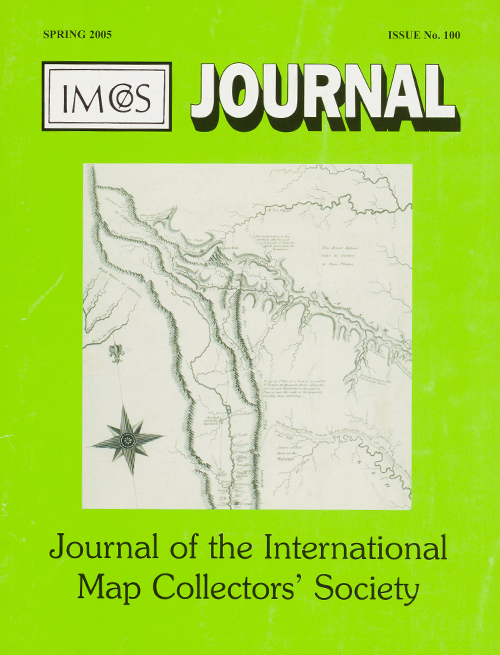 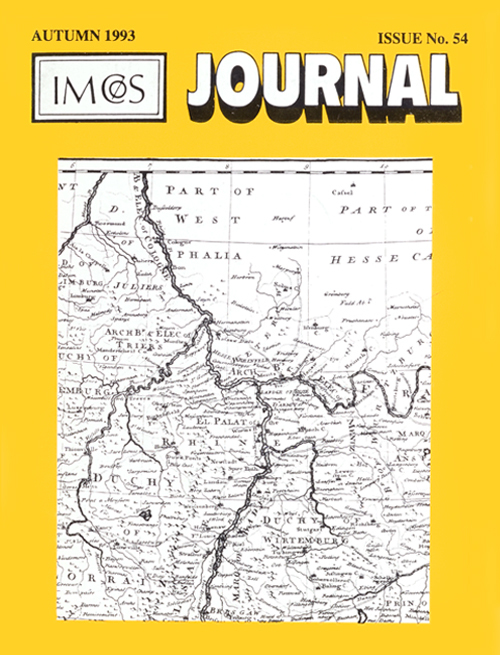 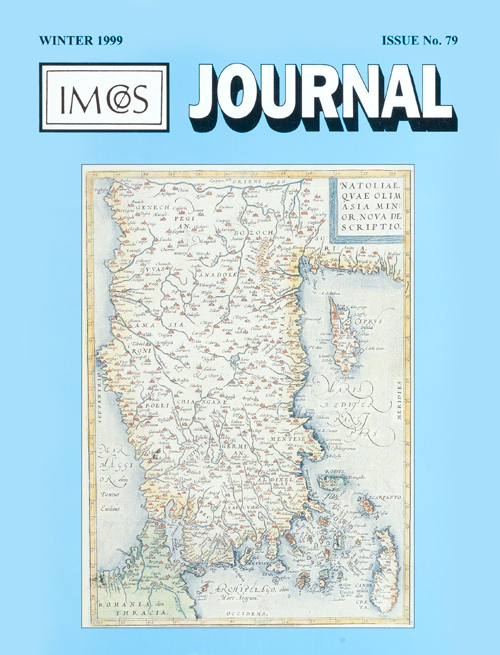 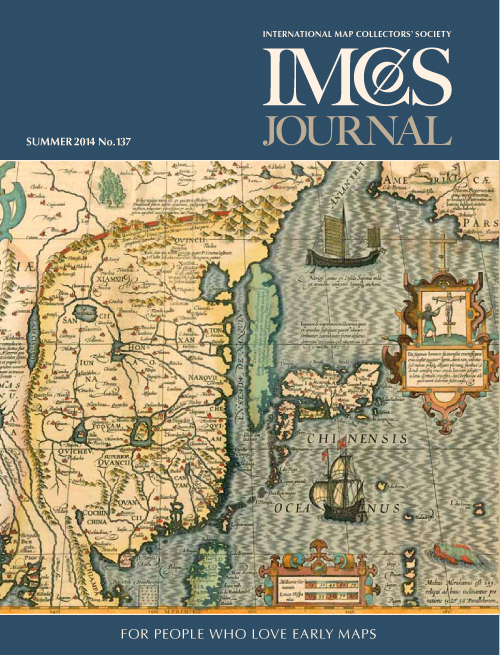 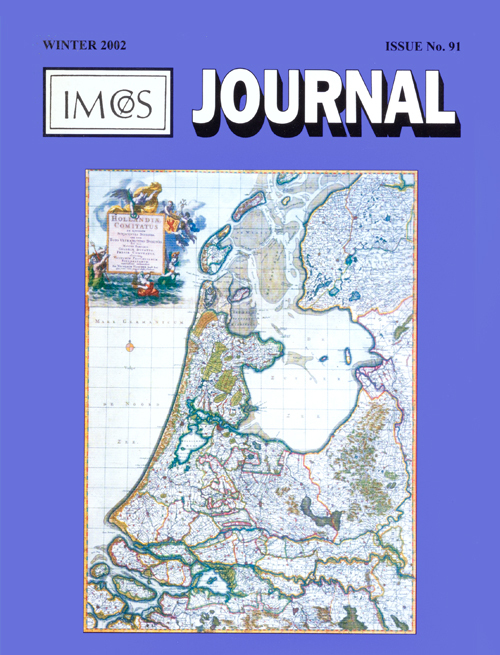 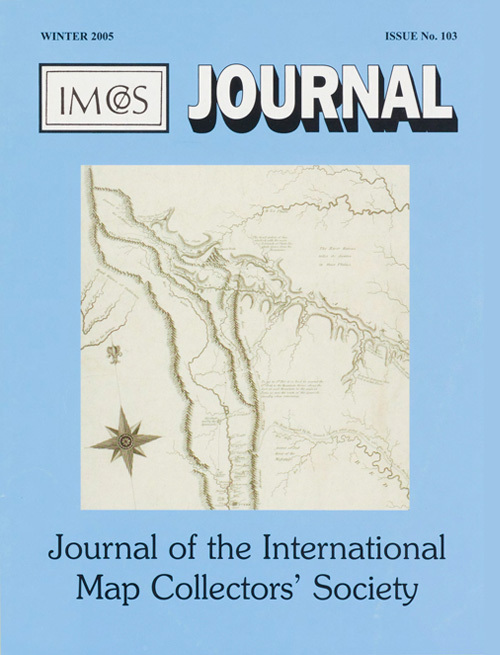 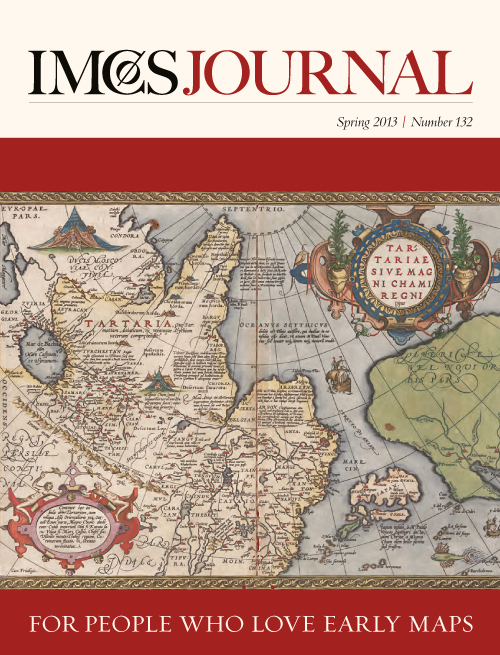 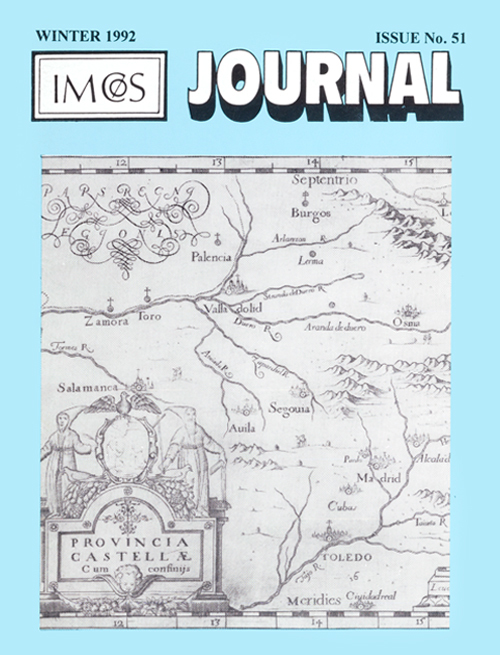 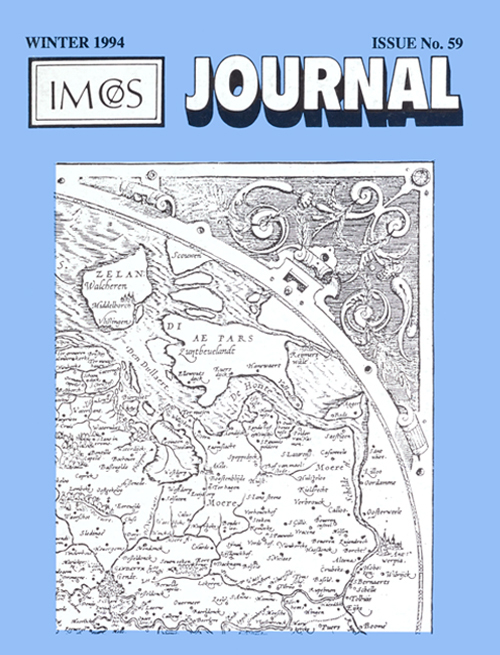 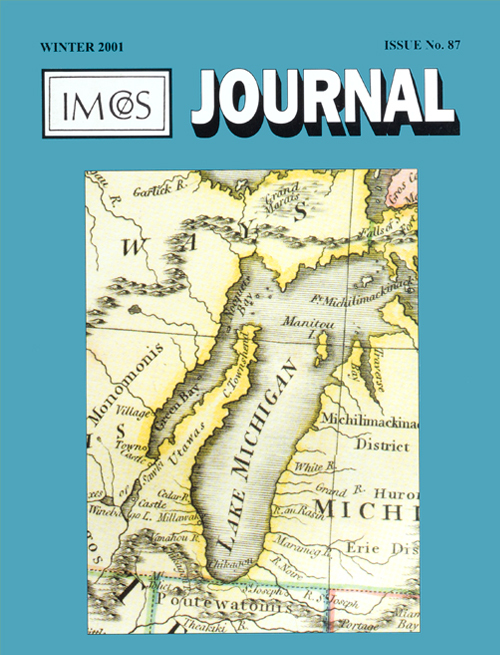 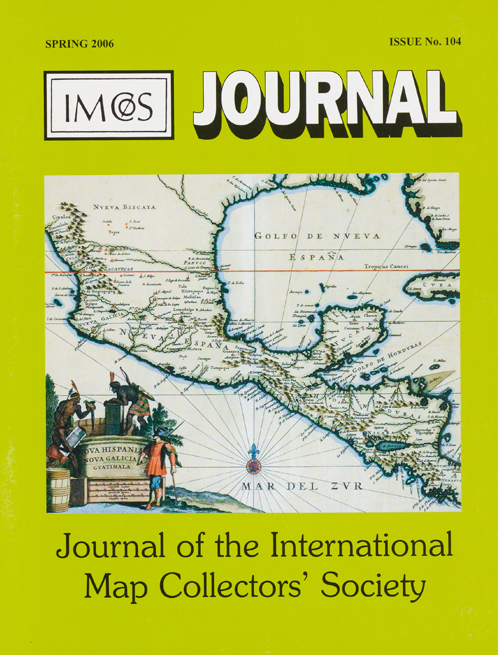 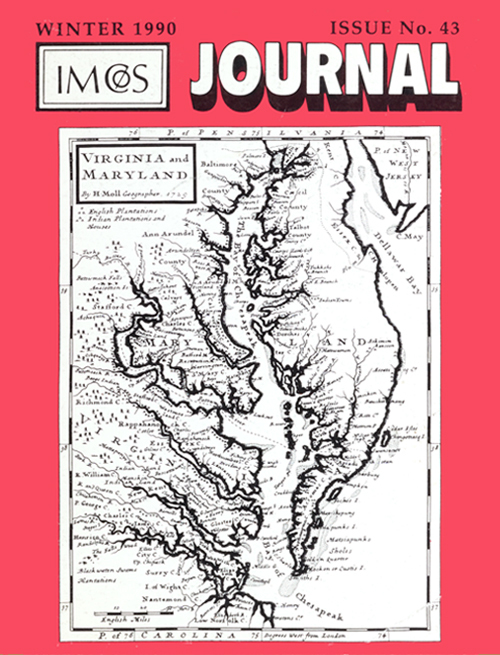 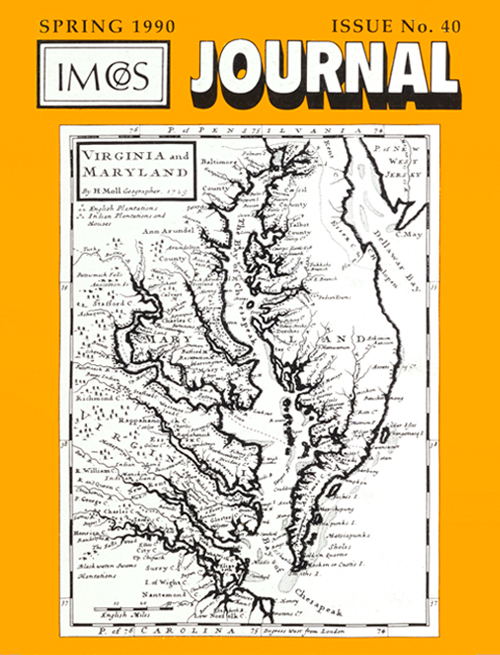 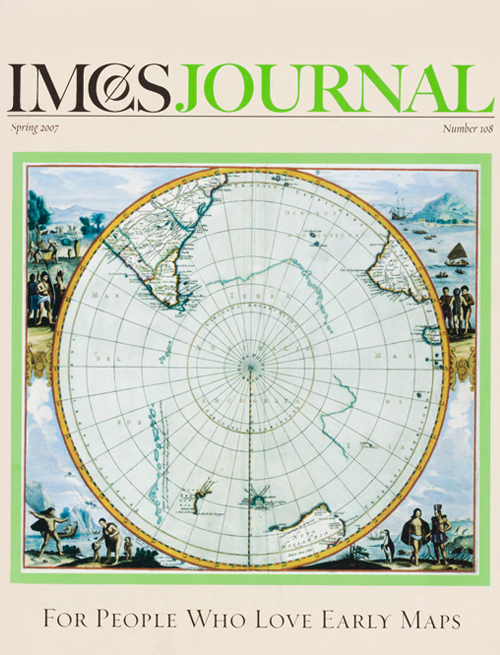 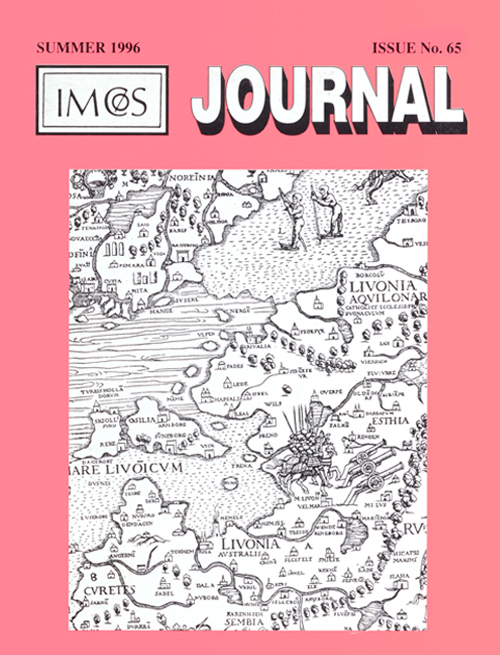 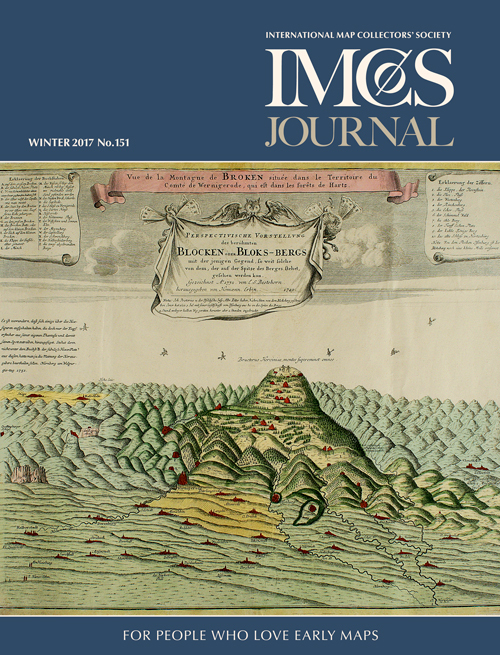 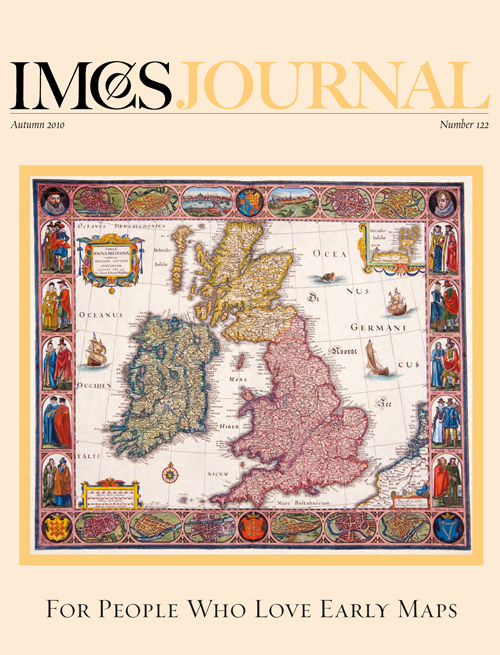 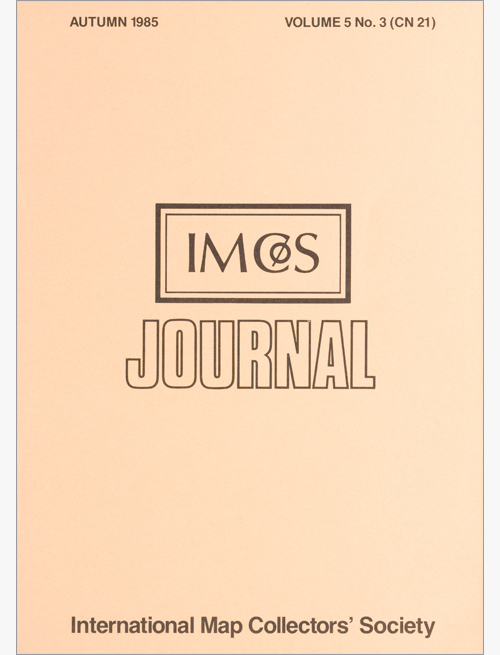 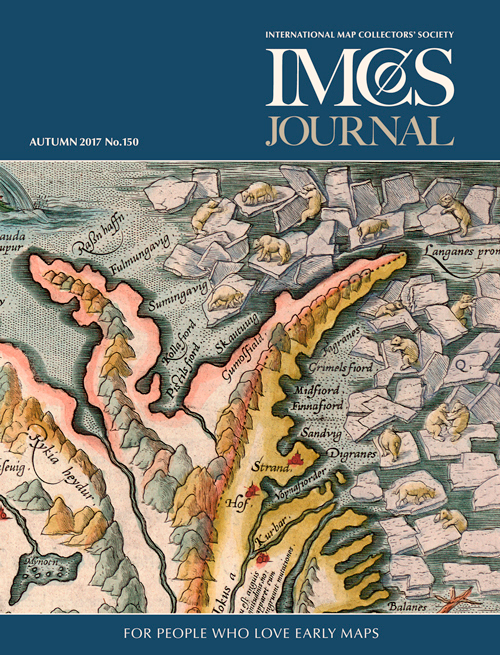 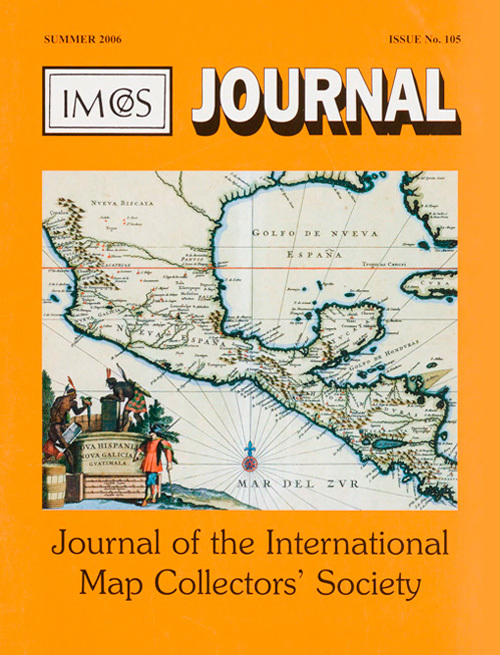 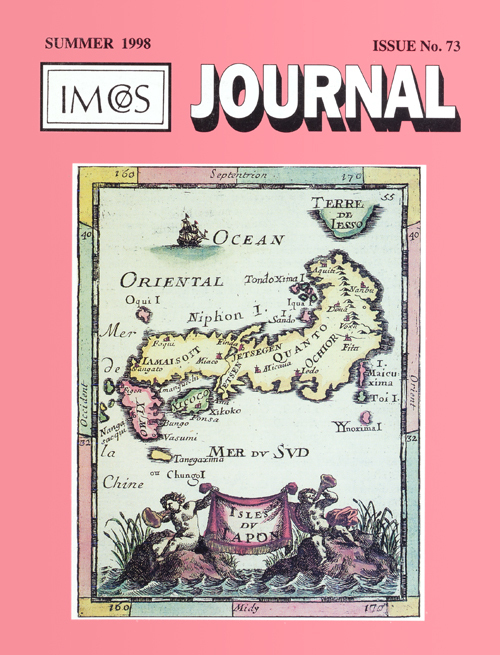 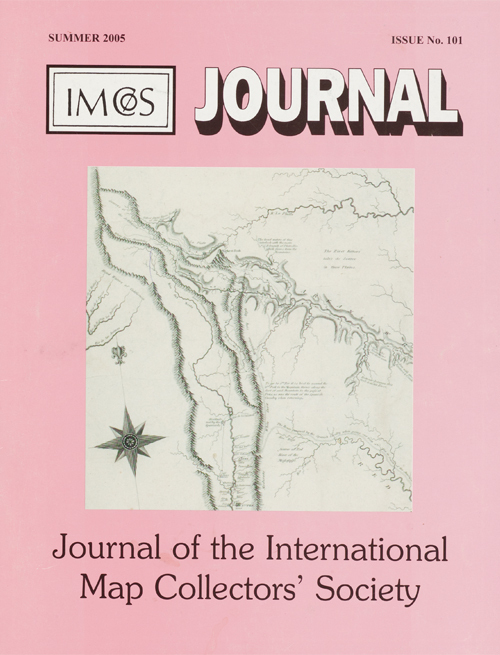 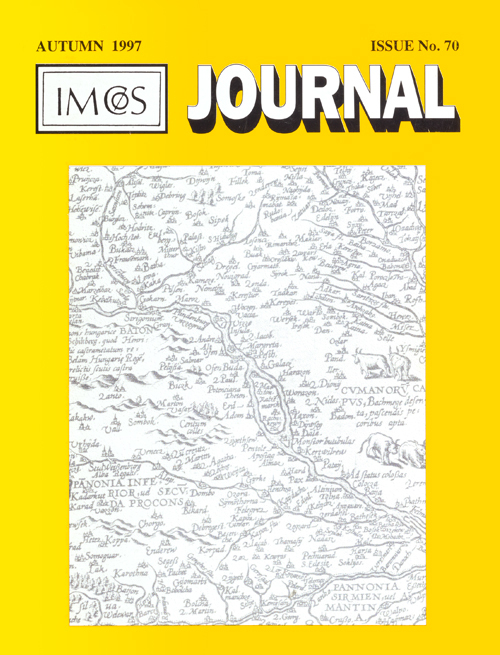 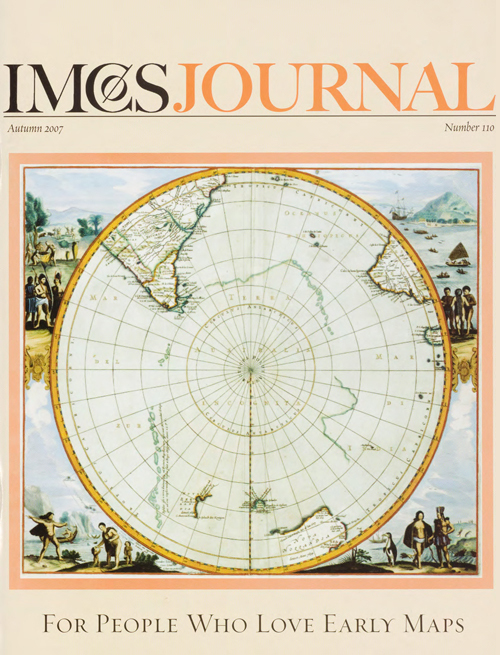 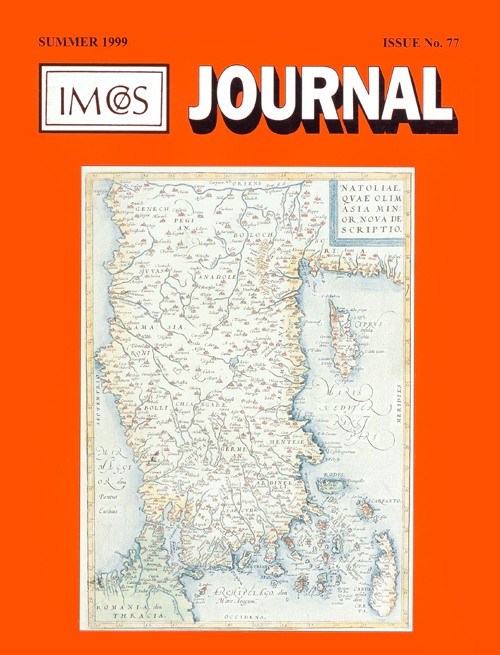 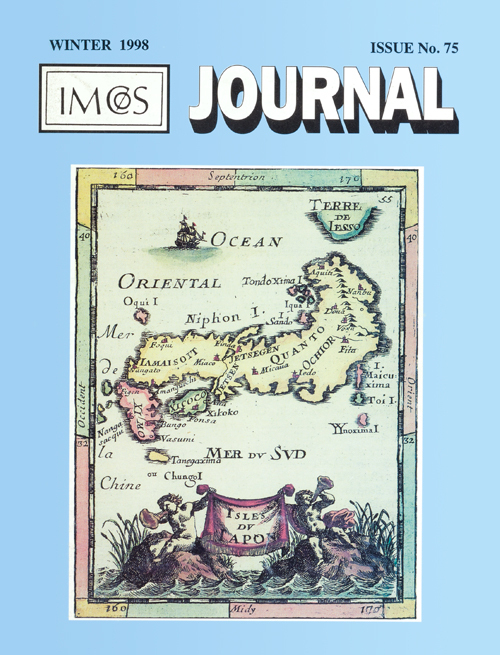 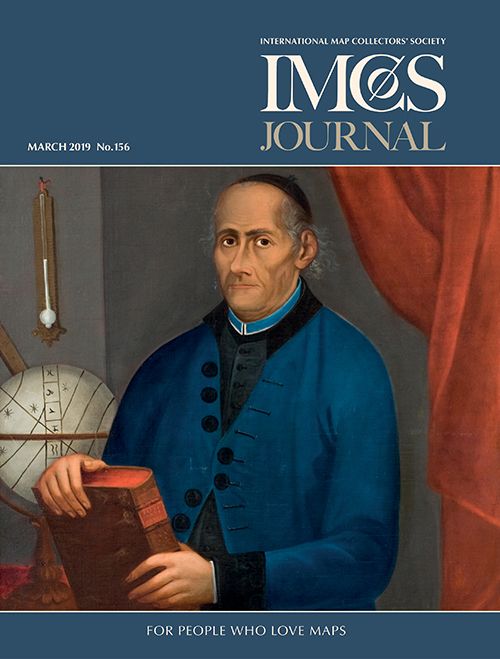 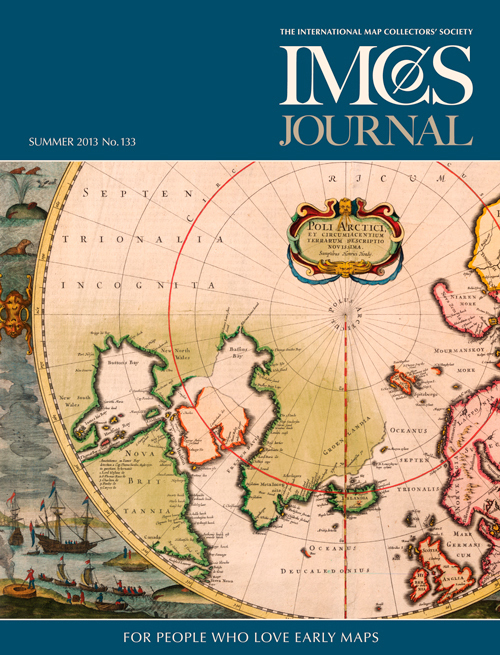 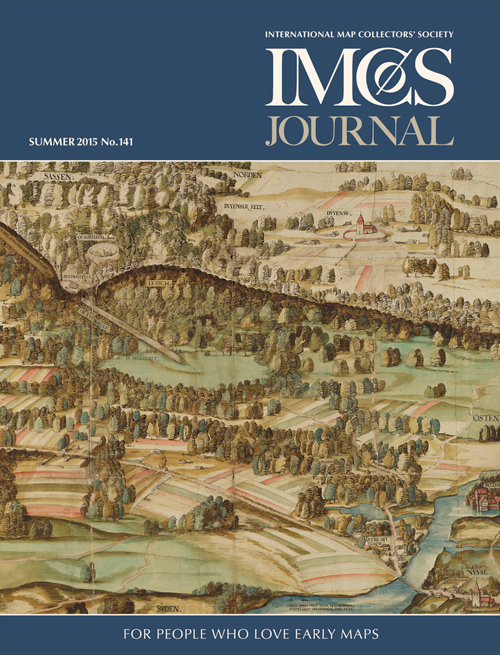 The IMCoS Journal is a quarterly publication. 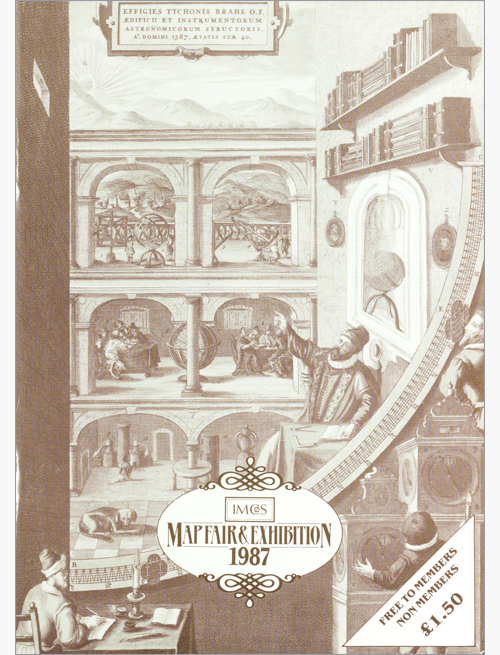 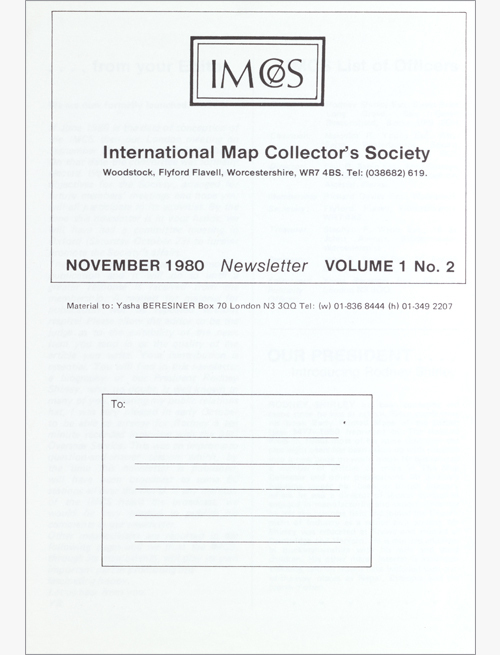 The first issue appeared in September 1980 following the formation of the Society, and since then, it has grown from a small two-page leaflet to a 64-page coloured magazine. 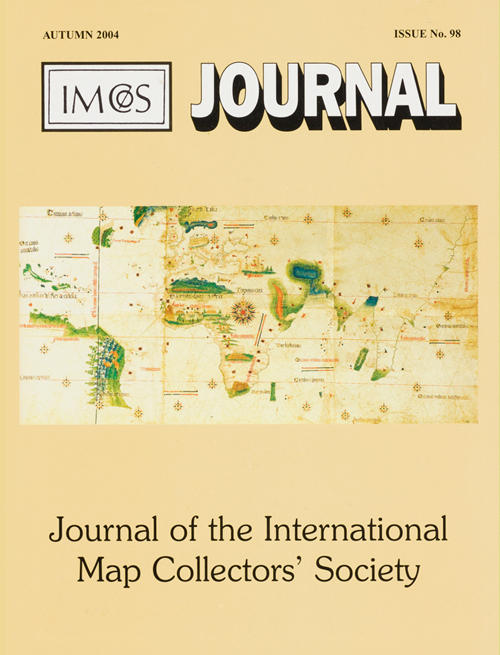 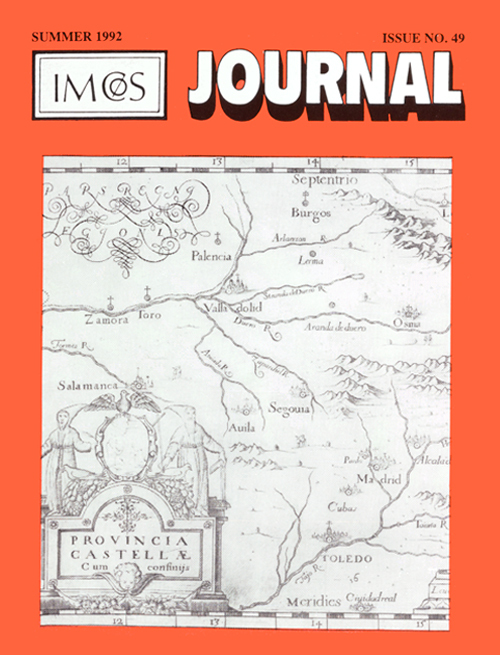 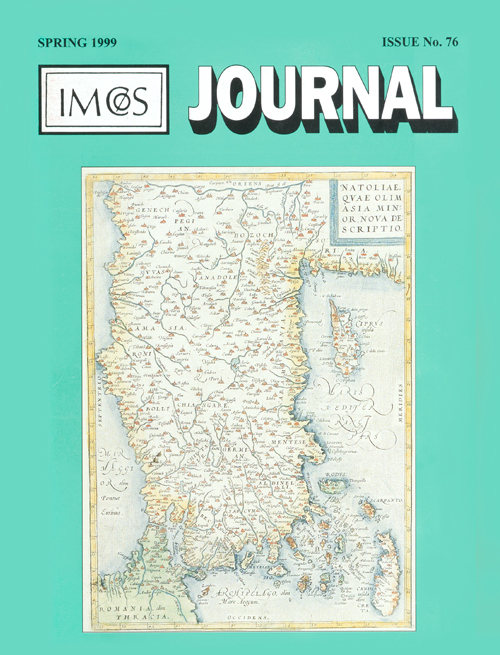 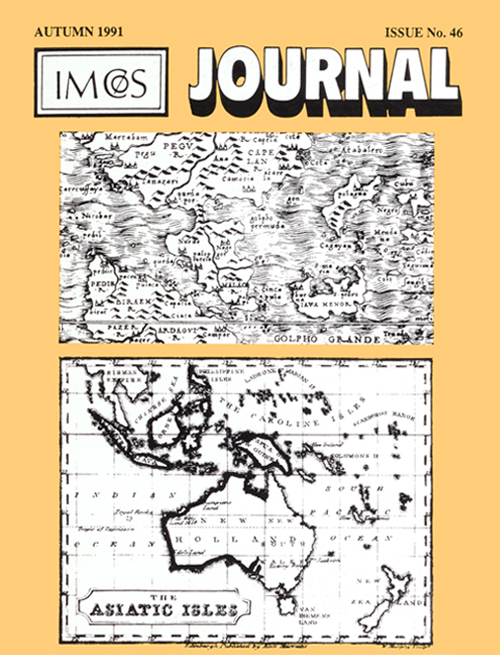 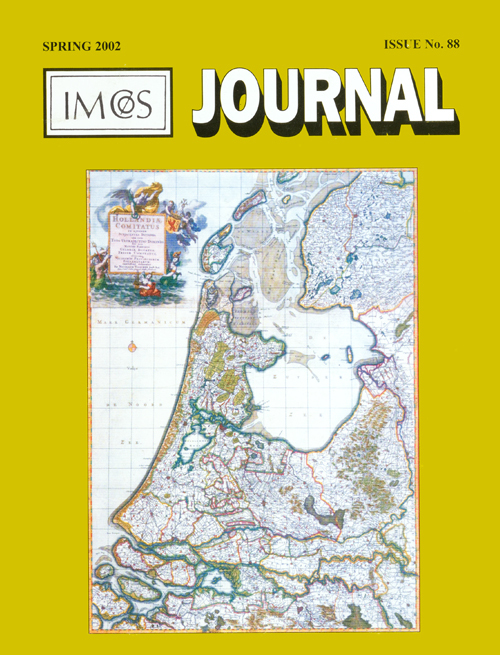 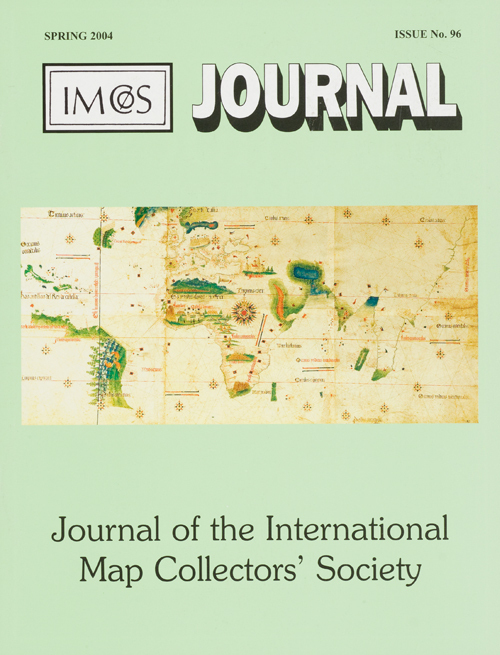 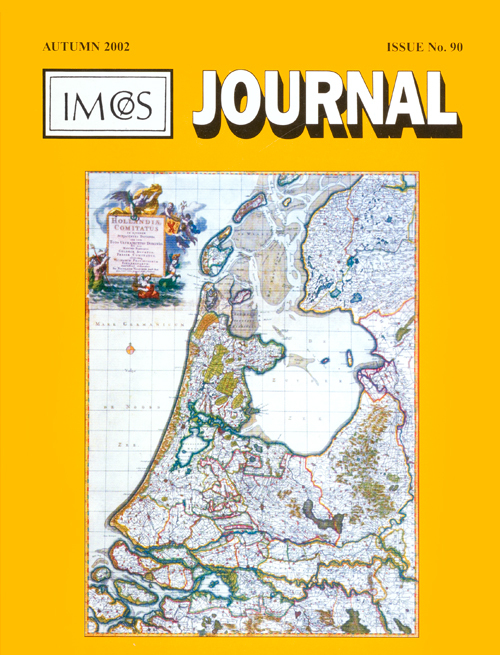 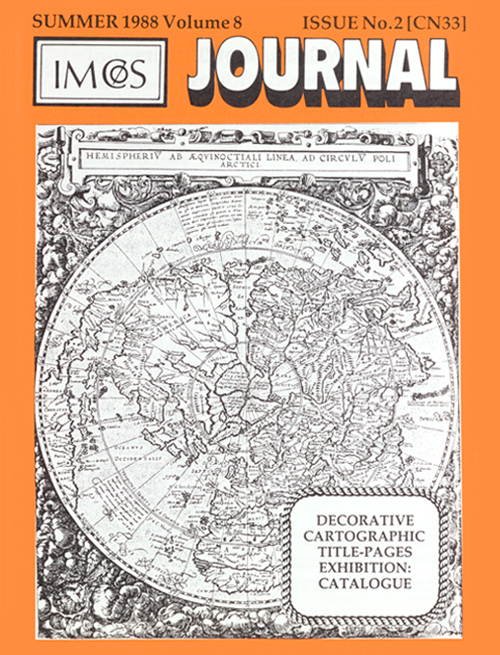 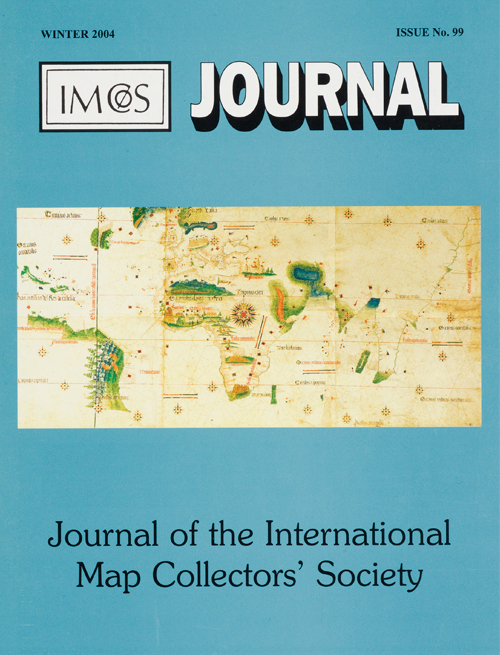 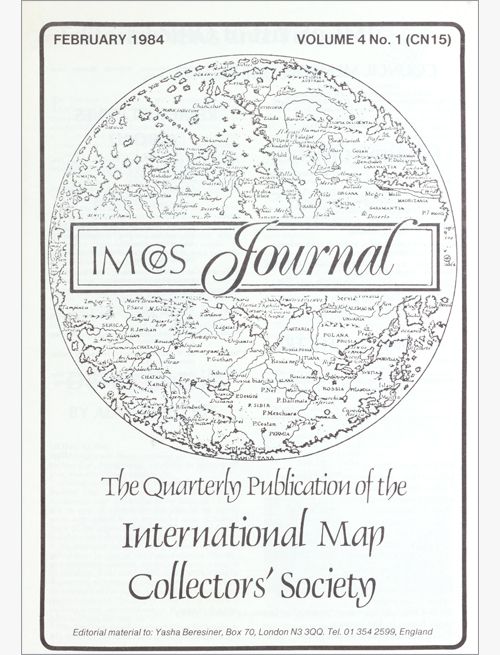 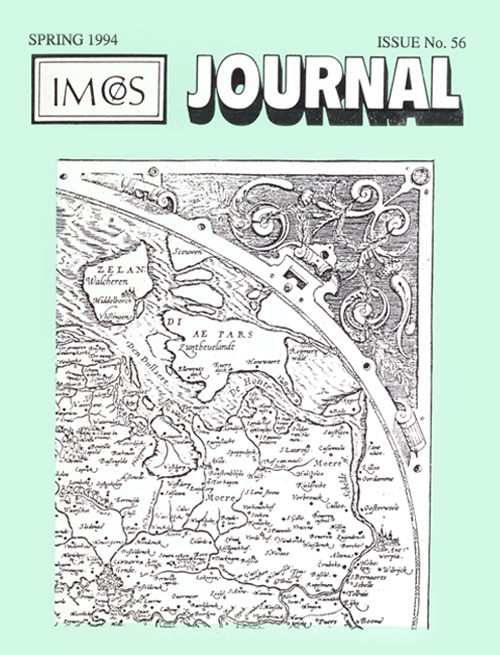 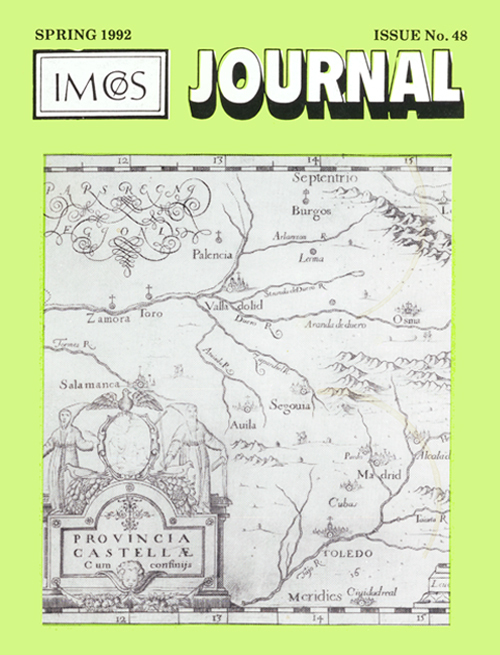 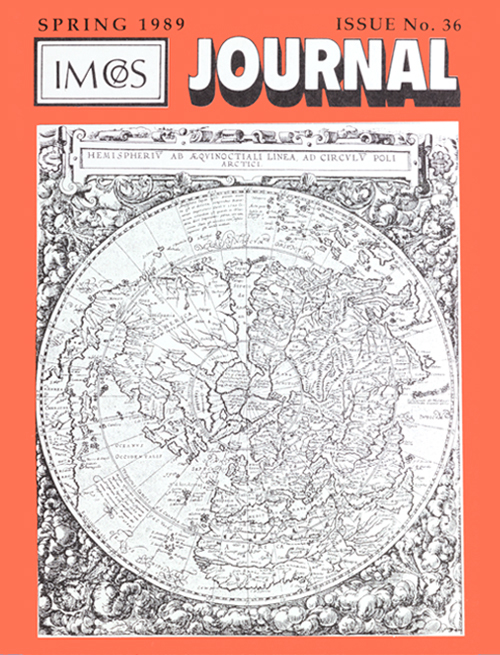 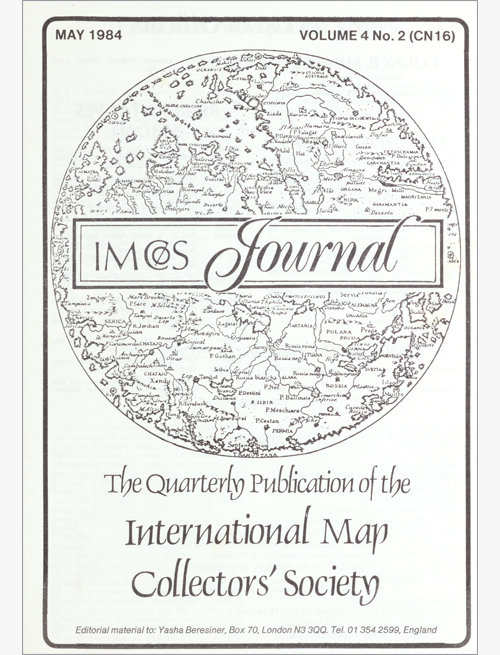 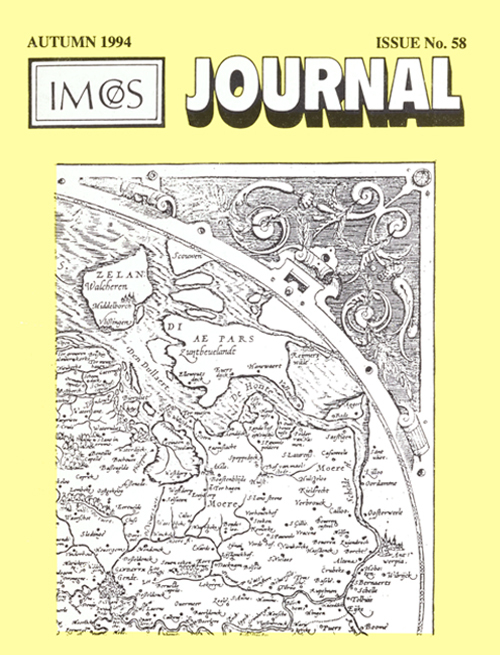 It includes a wide range articles on the history of cartography addressing Western, Asian and Arabic mapping practices; its scope is designed to interest our worldwide membership. 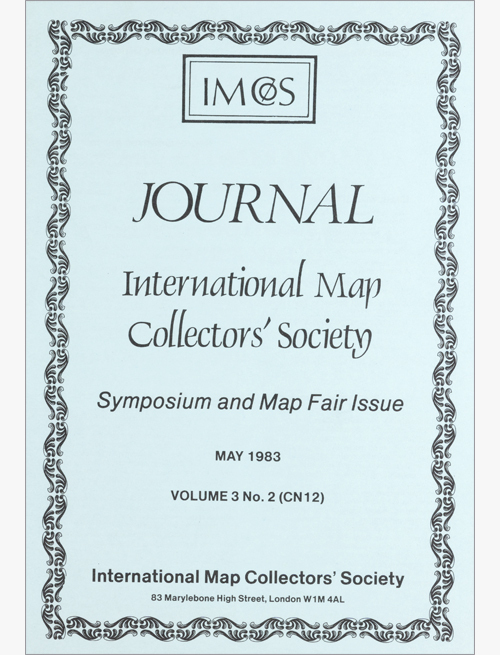 We invite submissions from enthusiasts, collectors and academics. 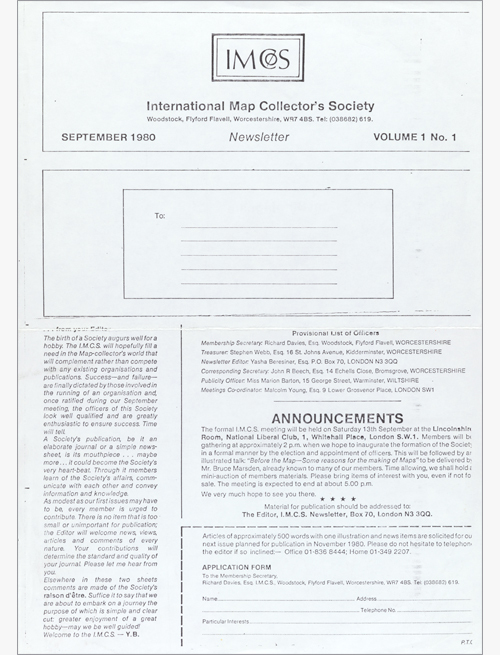 Please consult ‘Instructions for authors’ before submitting an article. 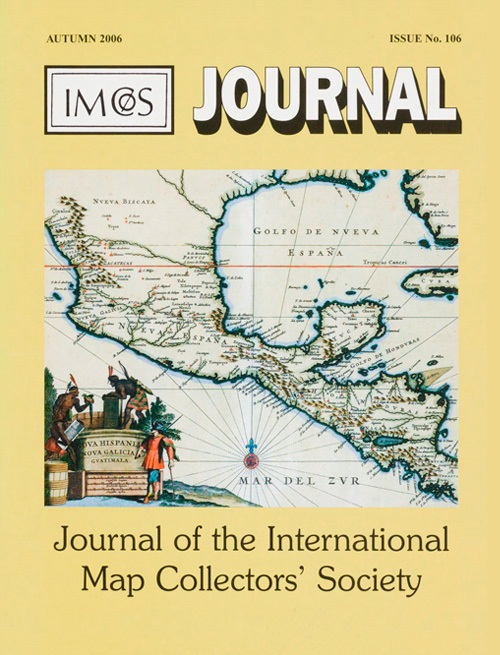 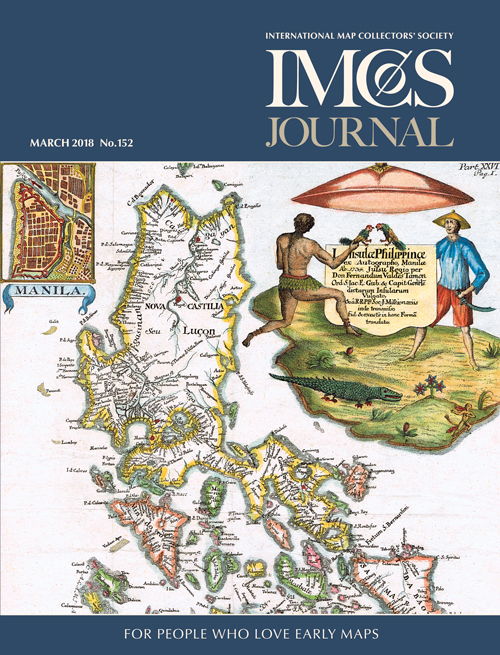 The journal also covers the activities of the Society wherever they take place in the world, news from the mapping community around the world, book reviews and letters to the editor. 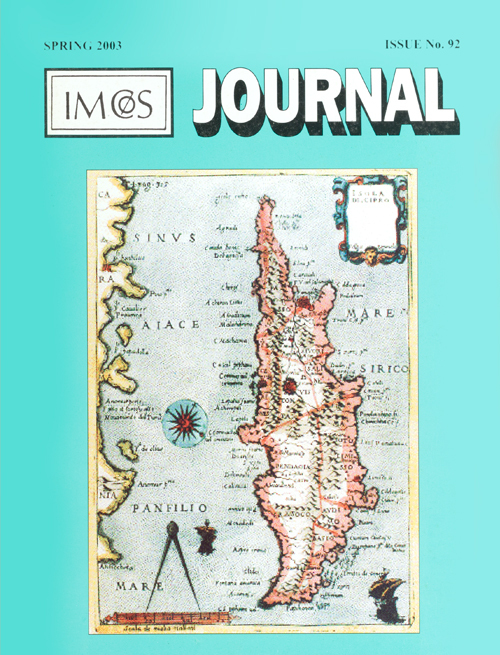 The editor is Ljiljana Ortolja-Baird. 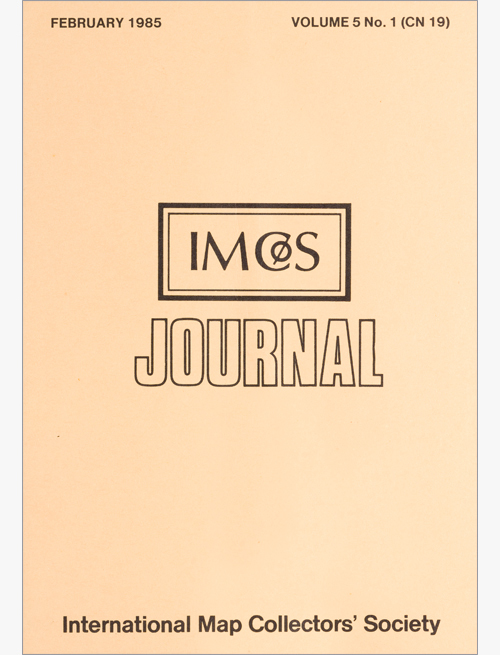 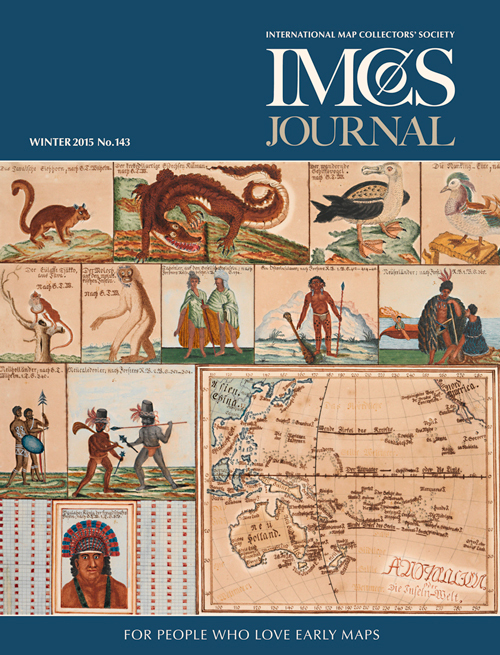 Back issues of all the journals are available to read online for members. 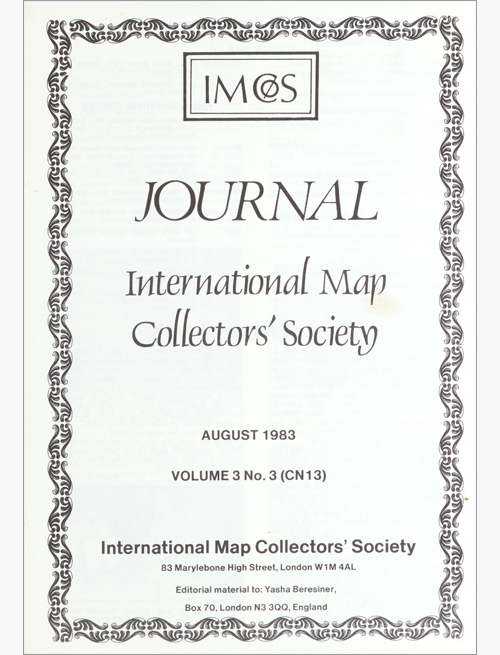 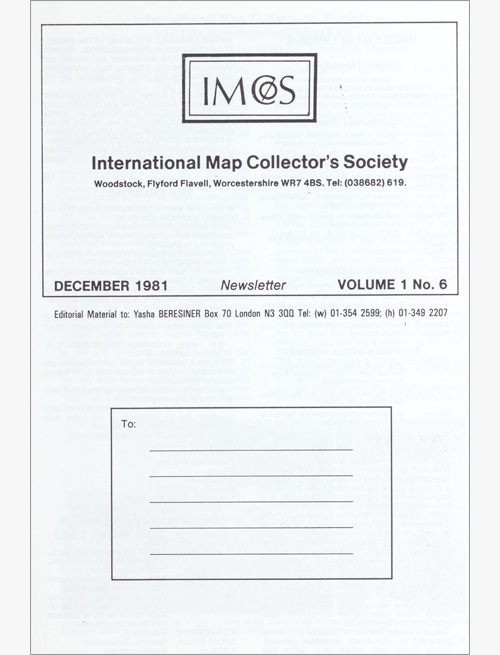 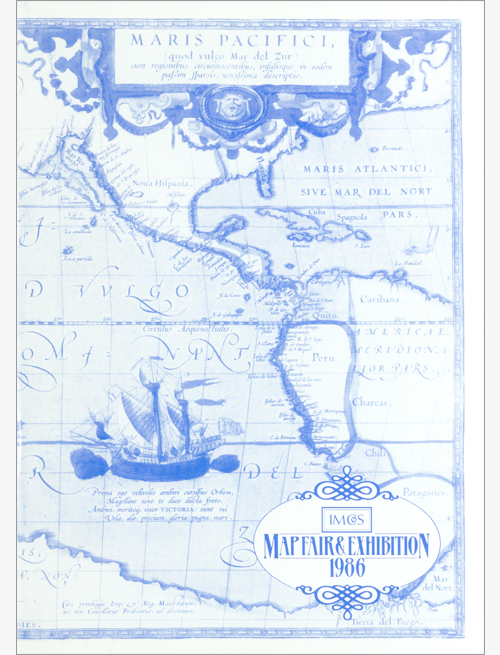 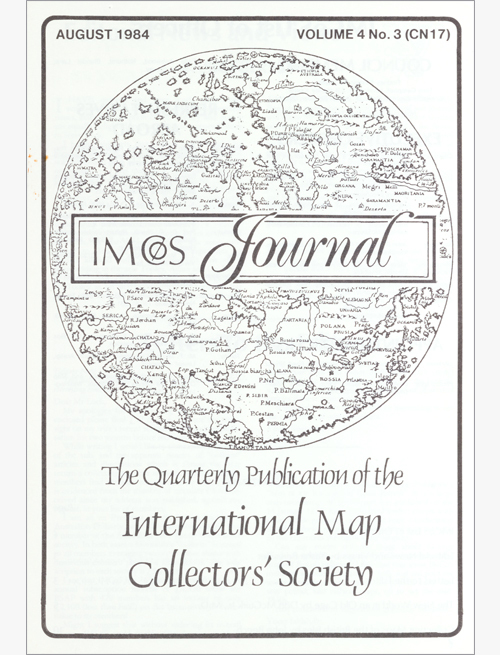 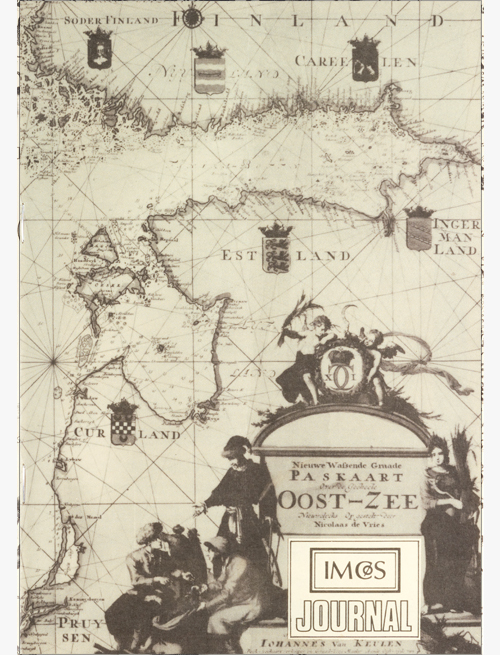 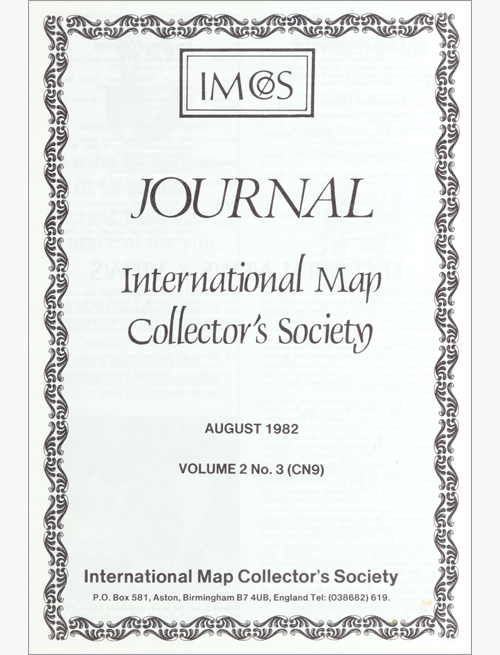 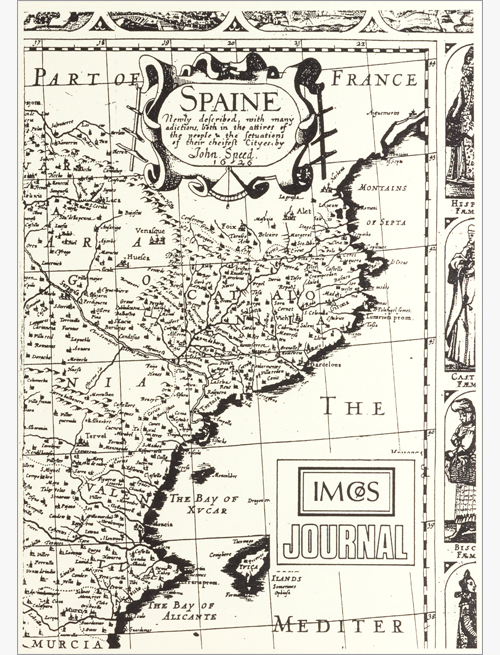 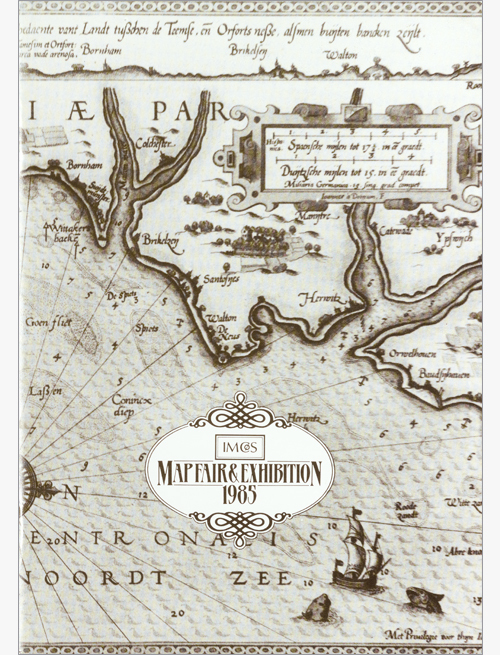 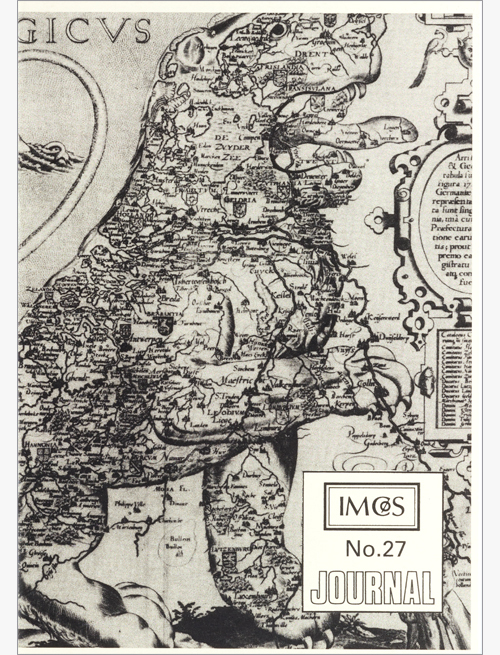 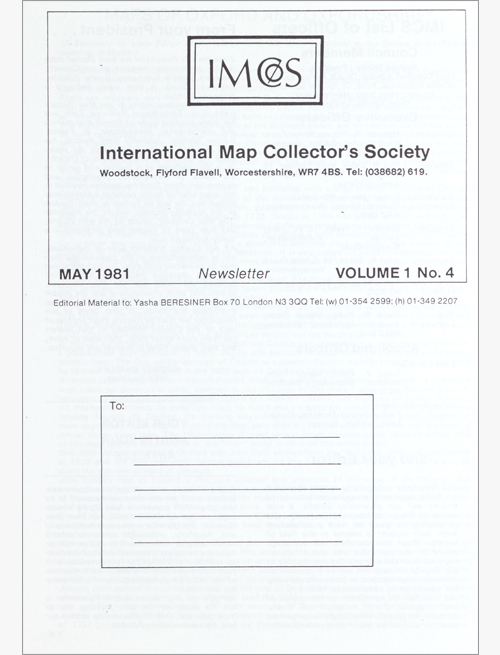 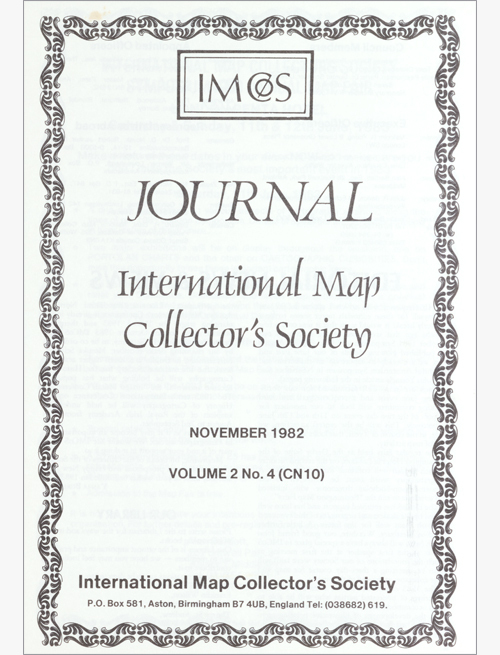 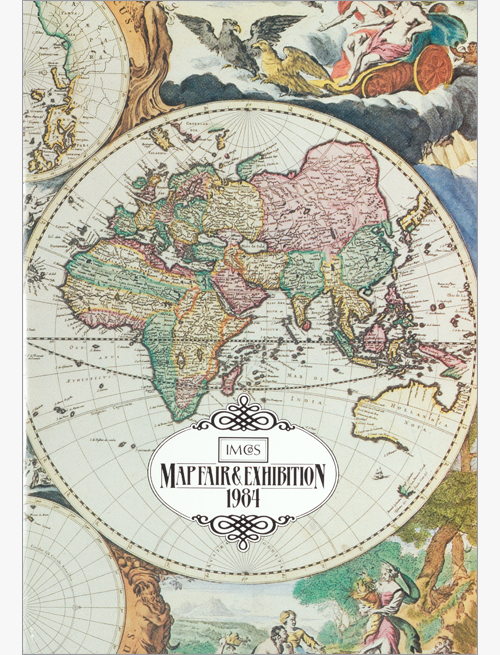 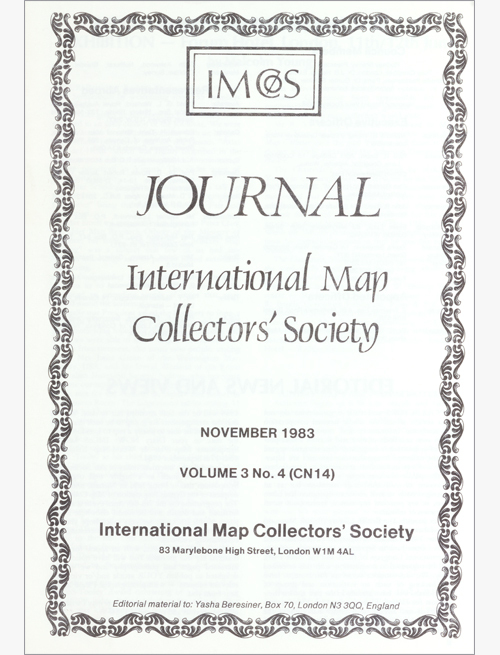 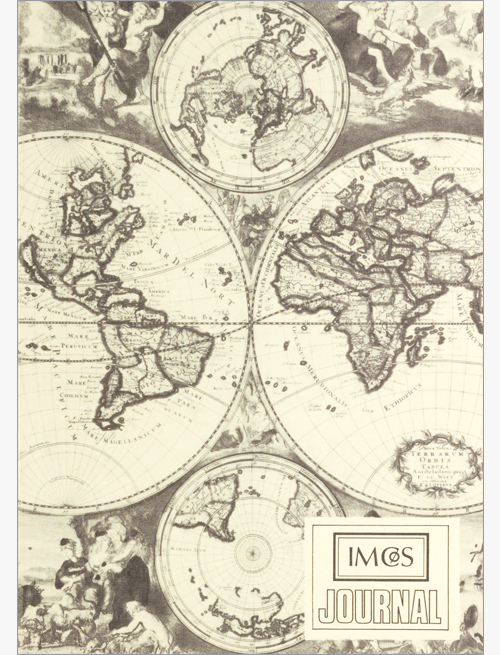 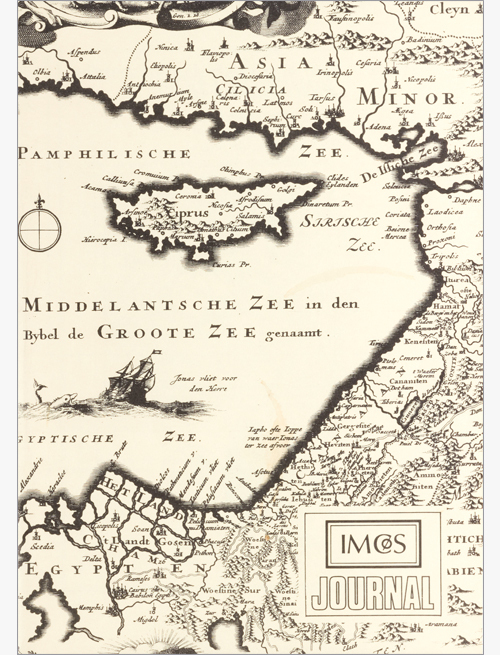 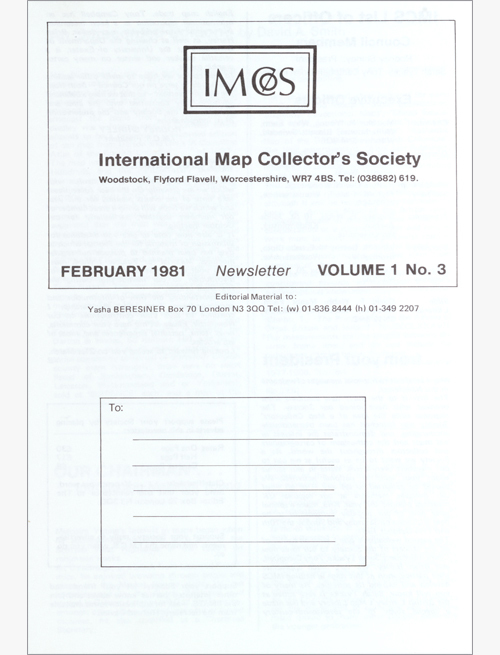 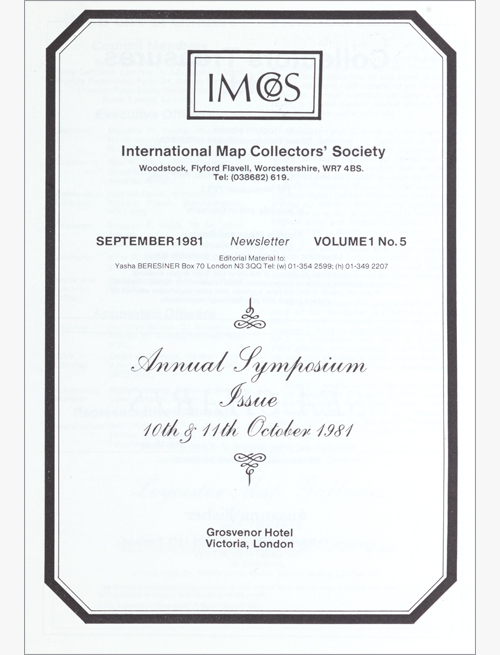 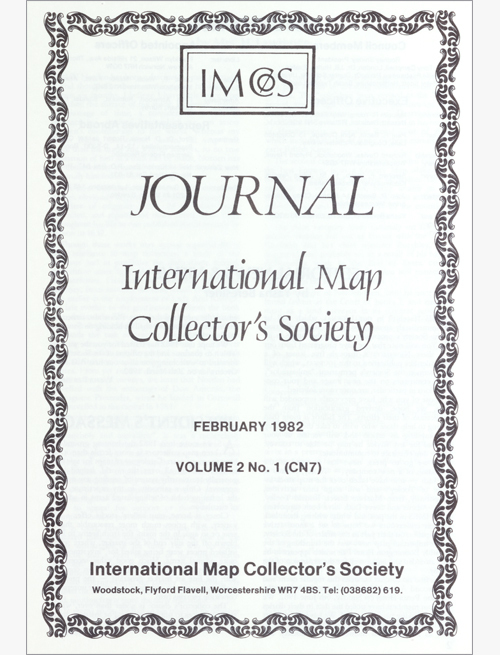 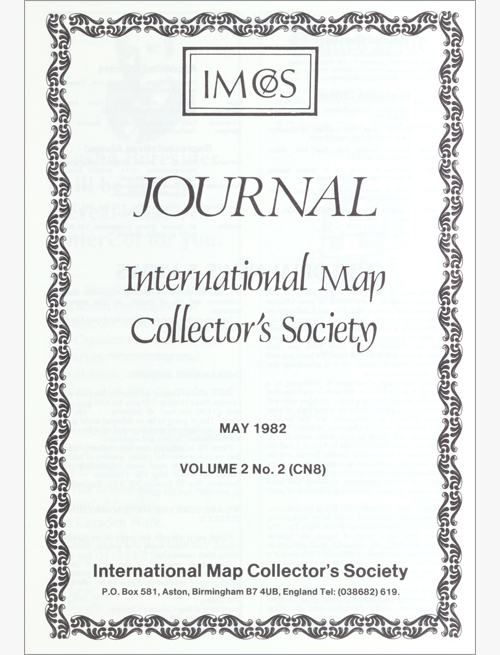 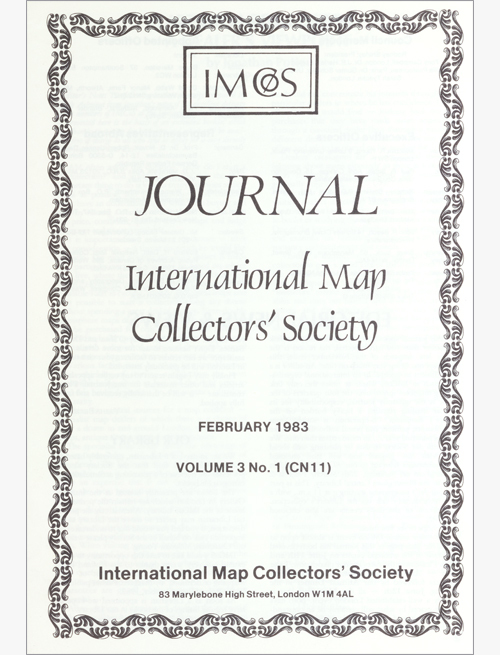 All content and images © 2019 International Map Collectors' Society.